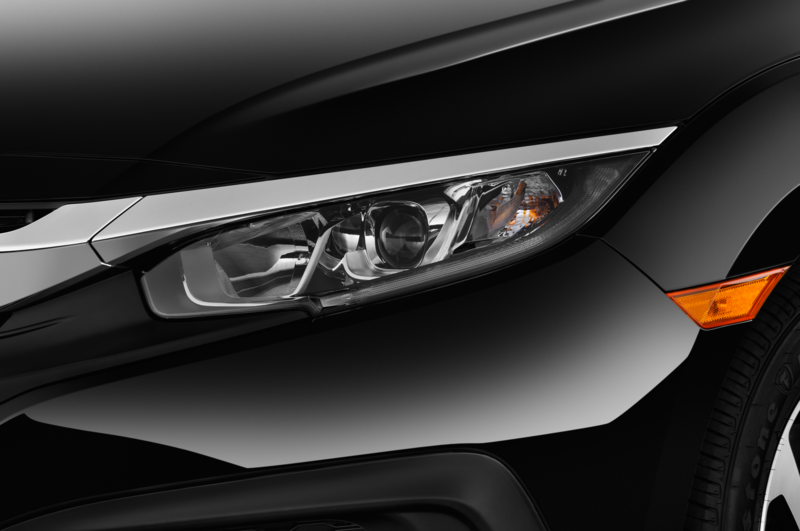 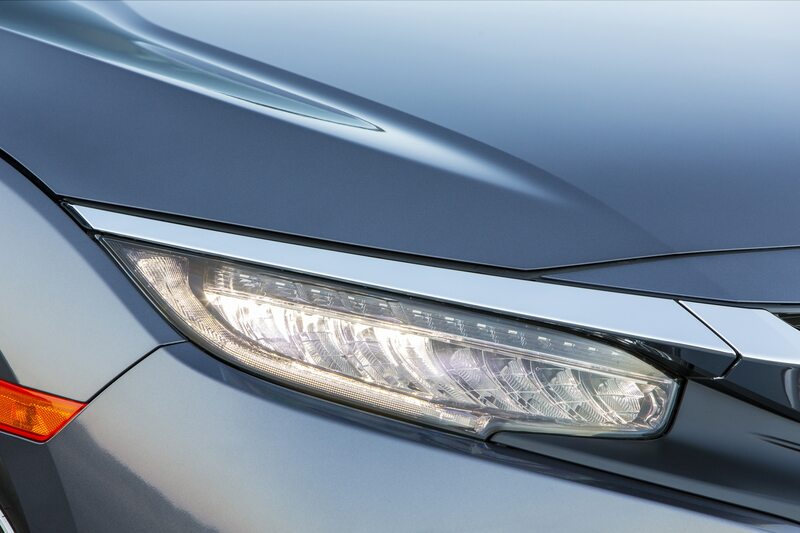 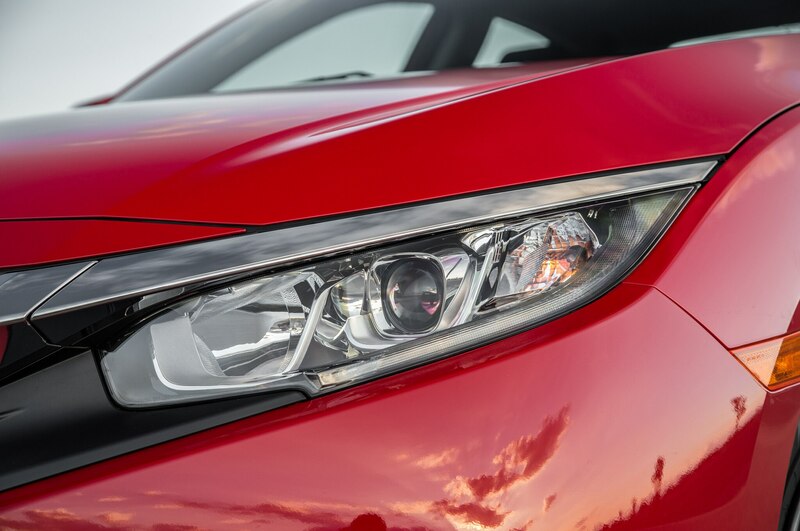 Honda’s all-new compact aims to be great once again. 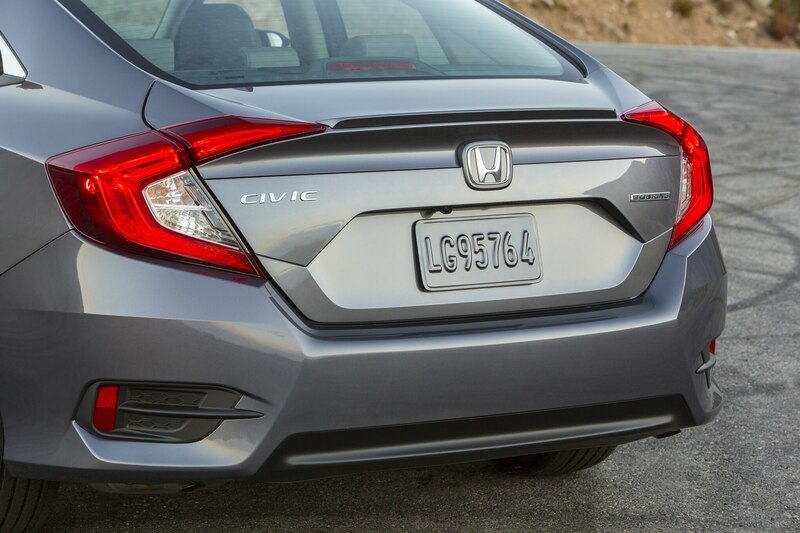 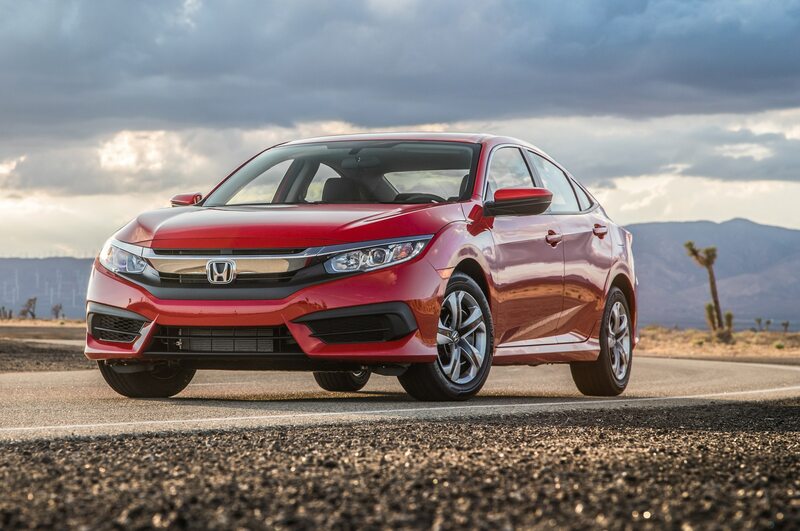 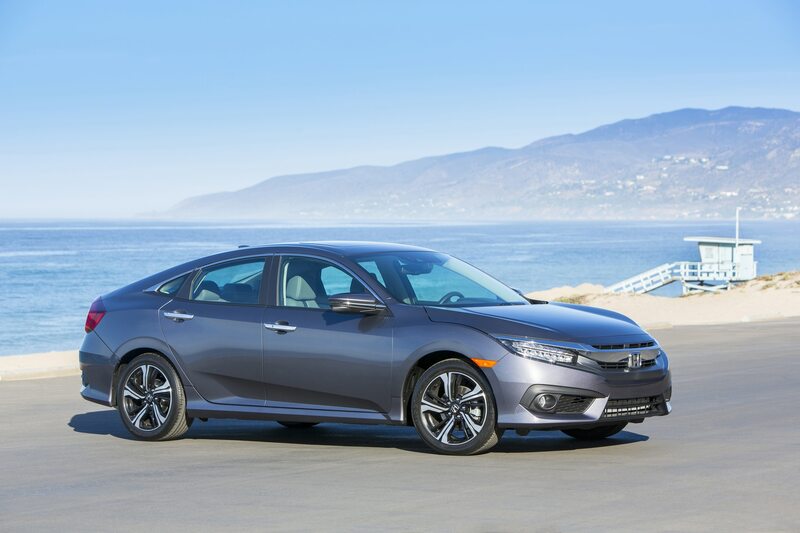 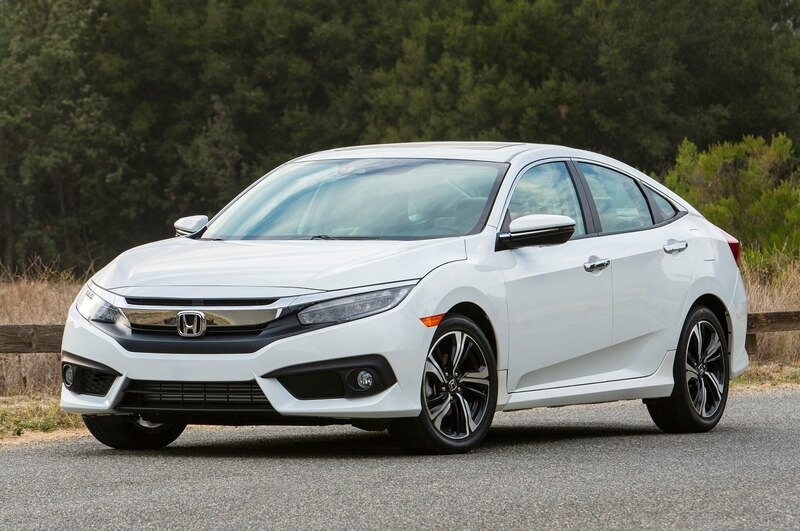 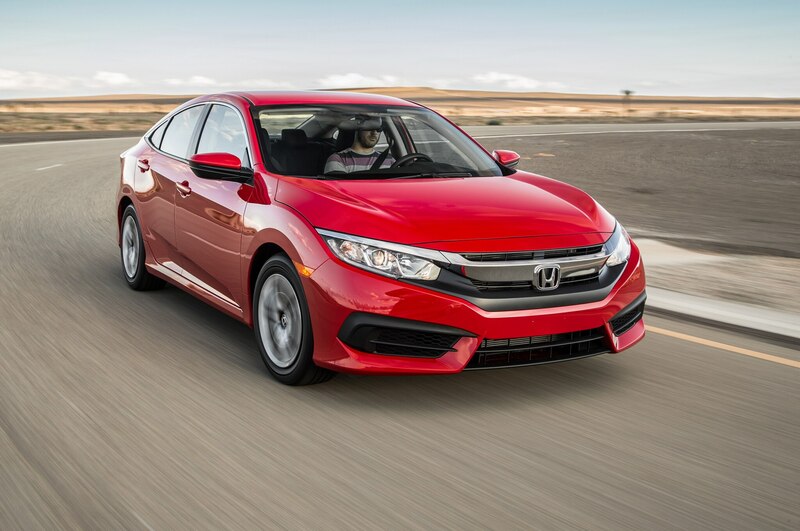 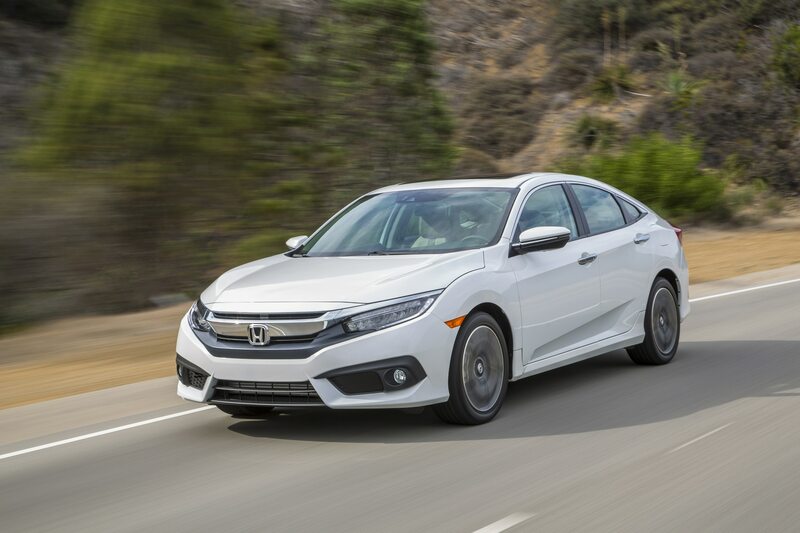 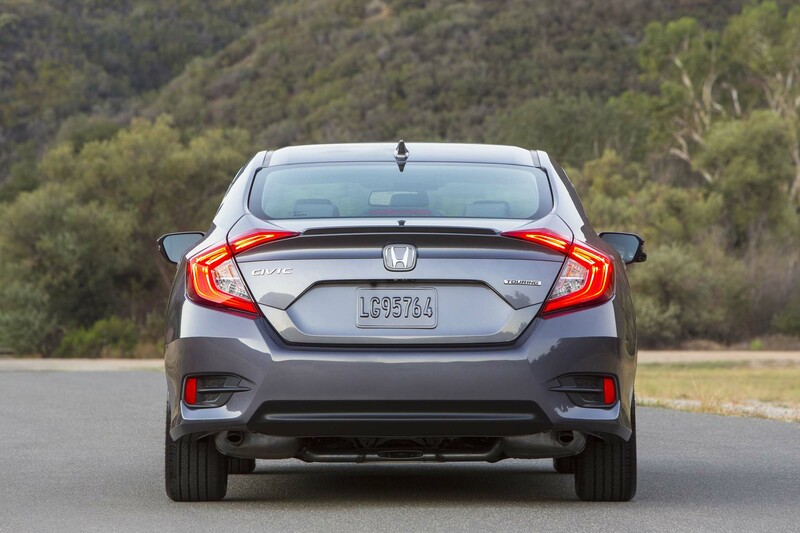 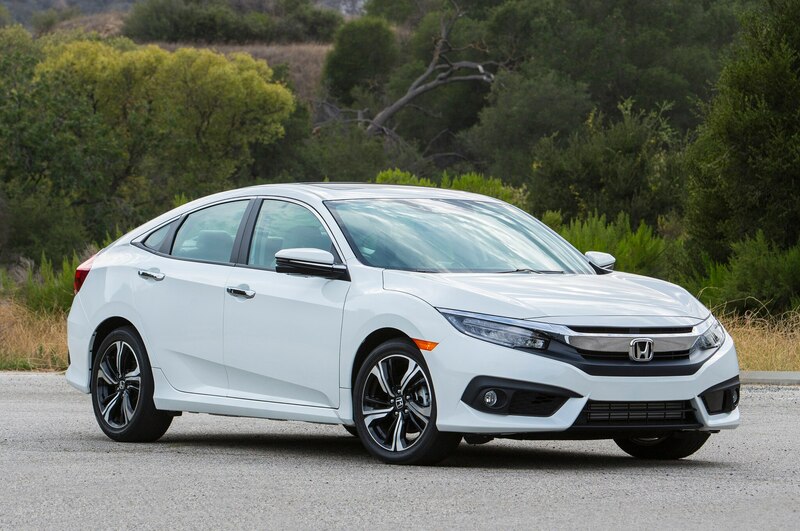 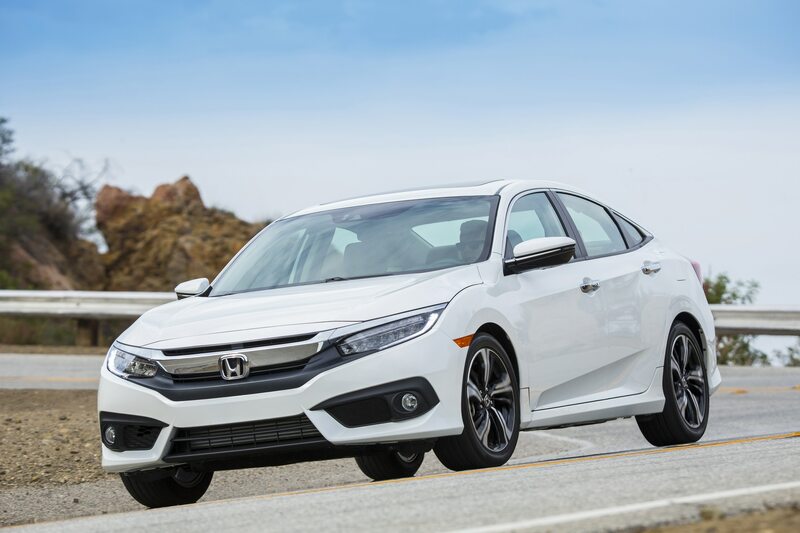 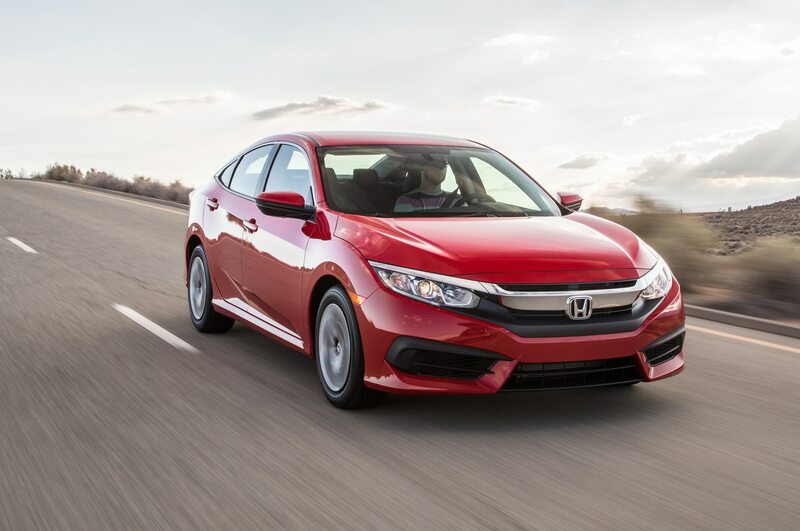 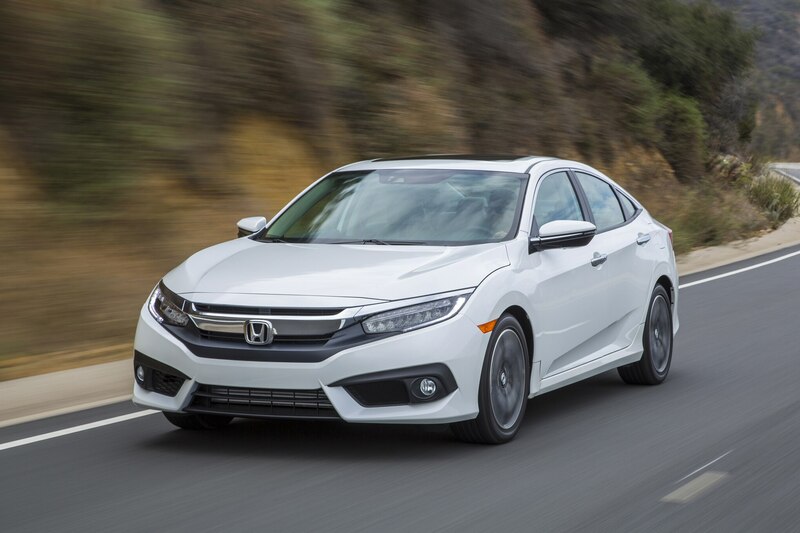 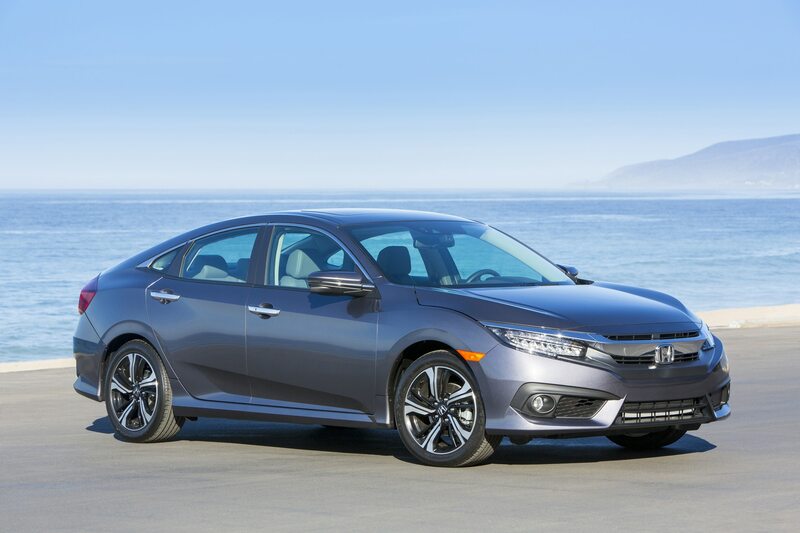 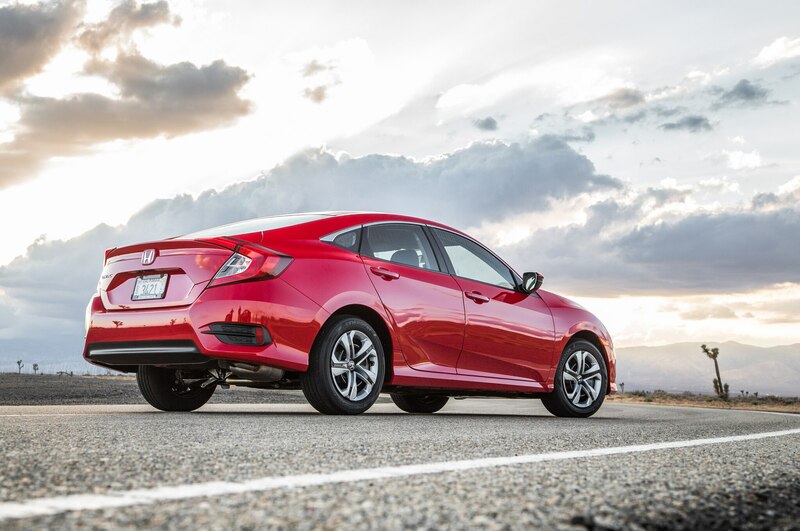 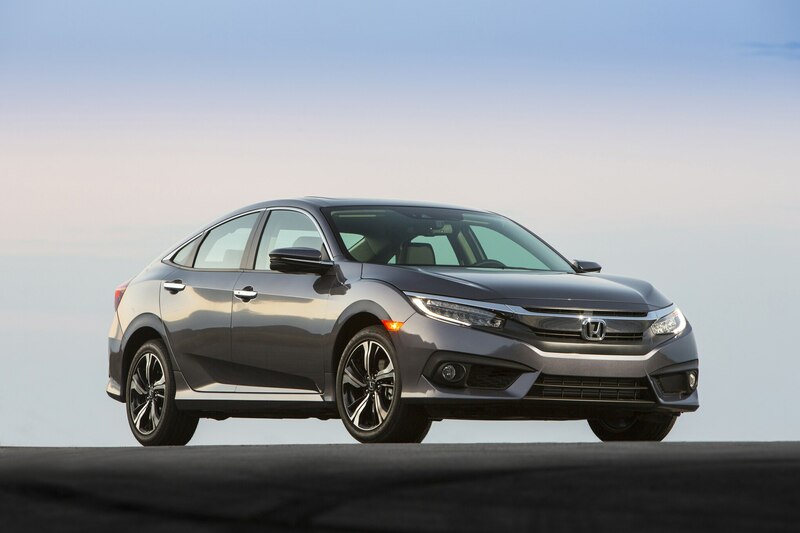 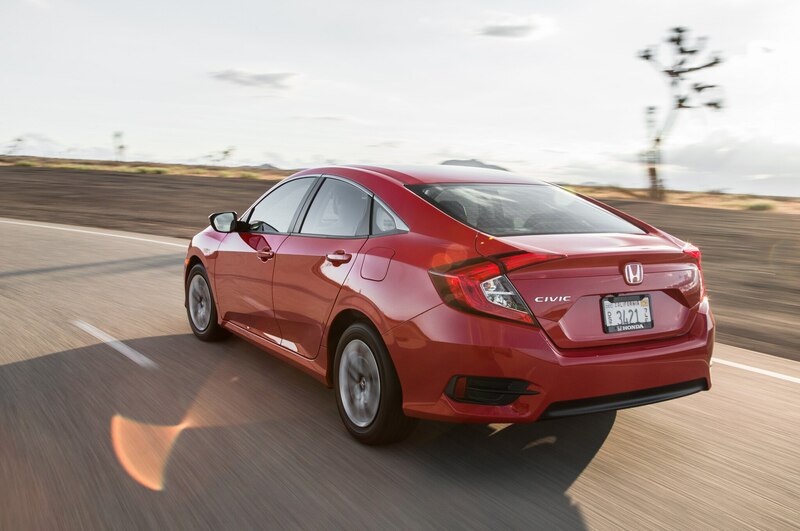 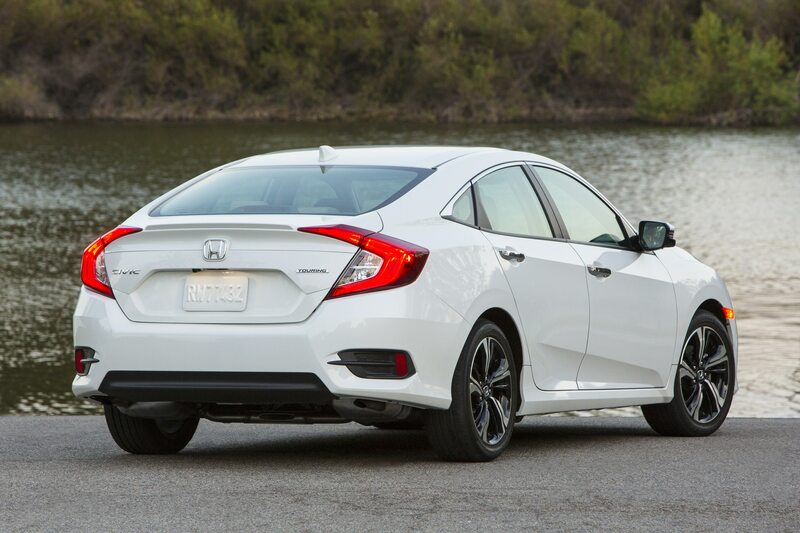 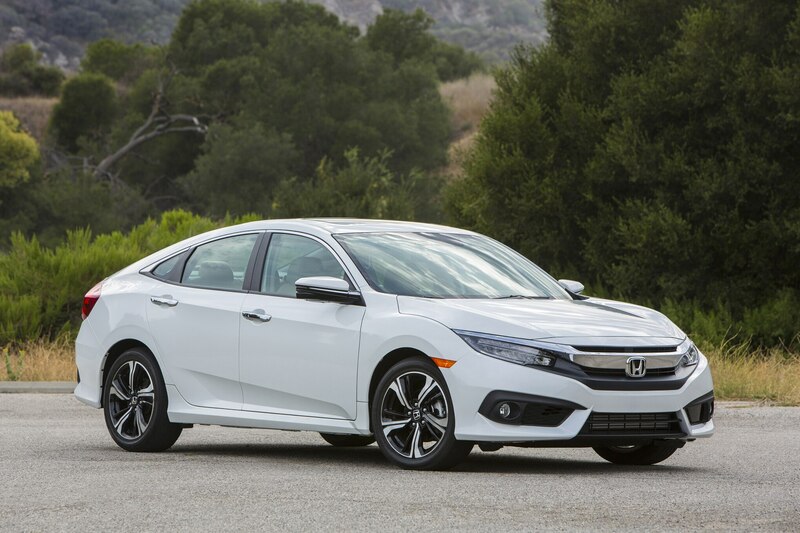 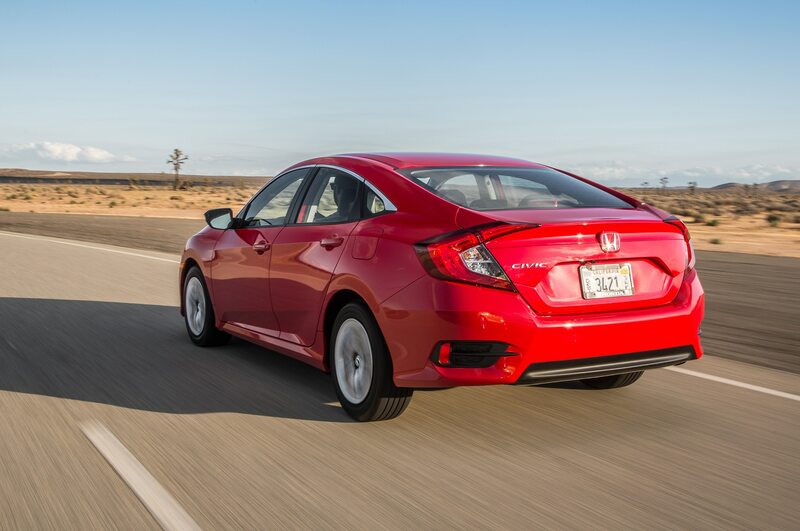 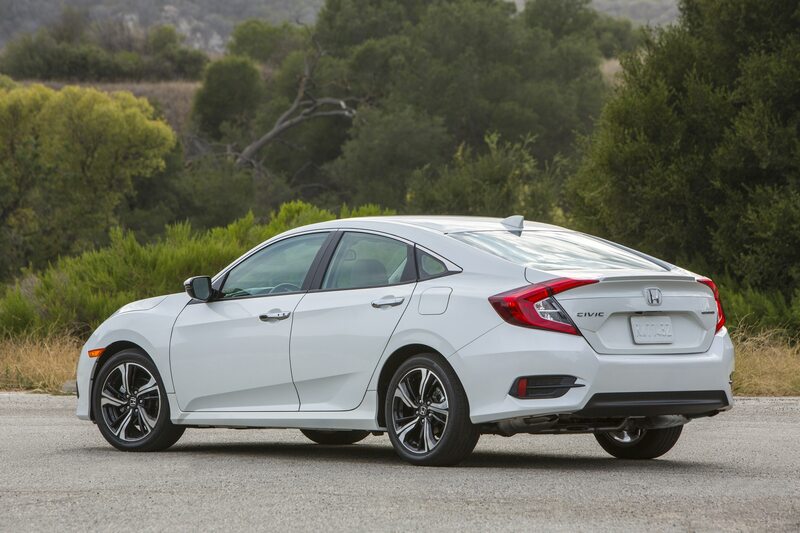 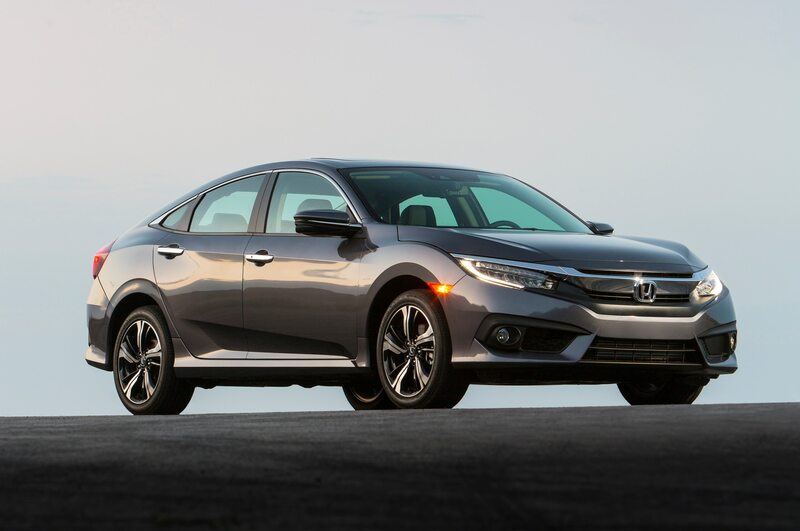 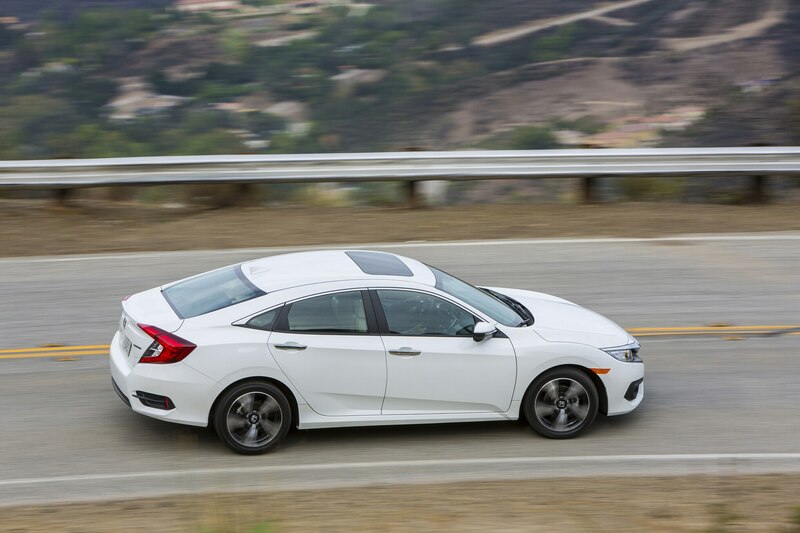 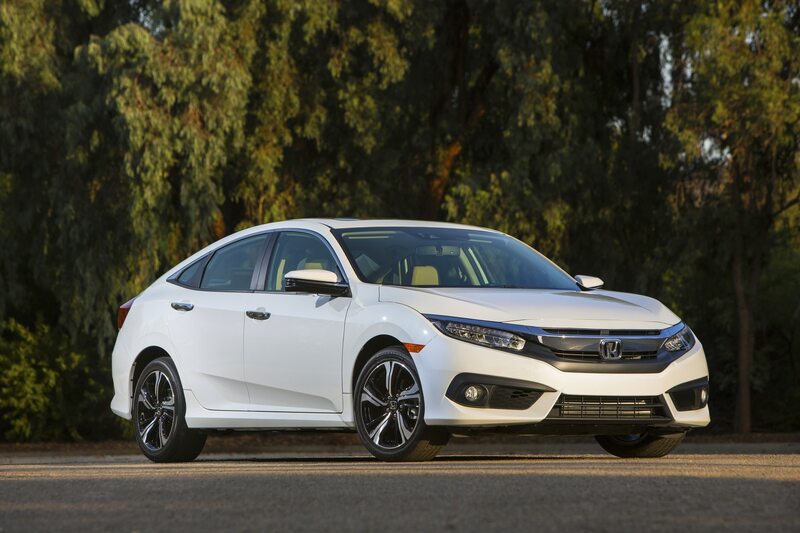 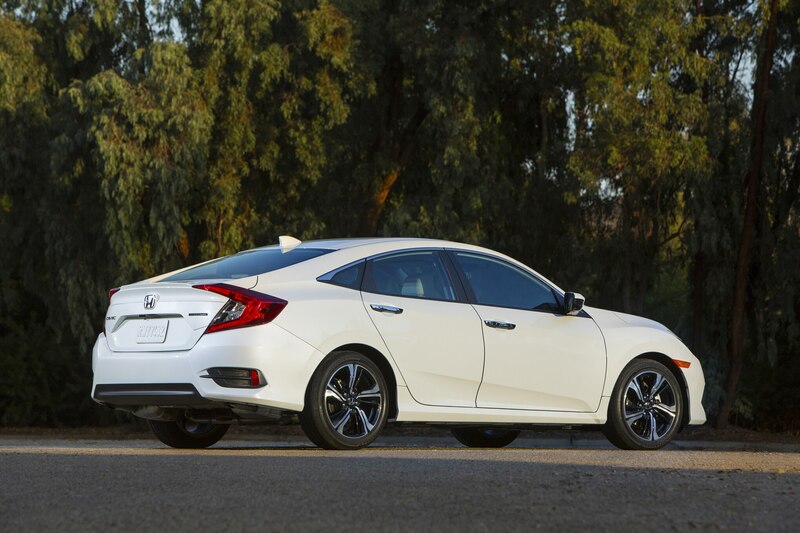 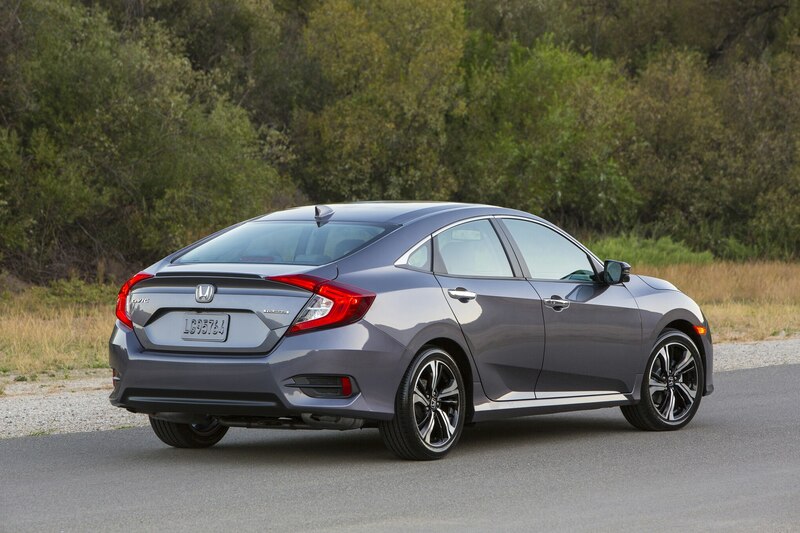 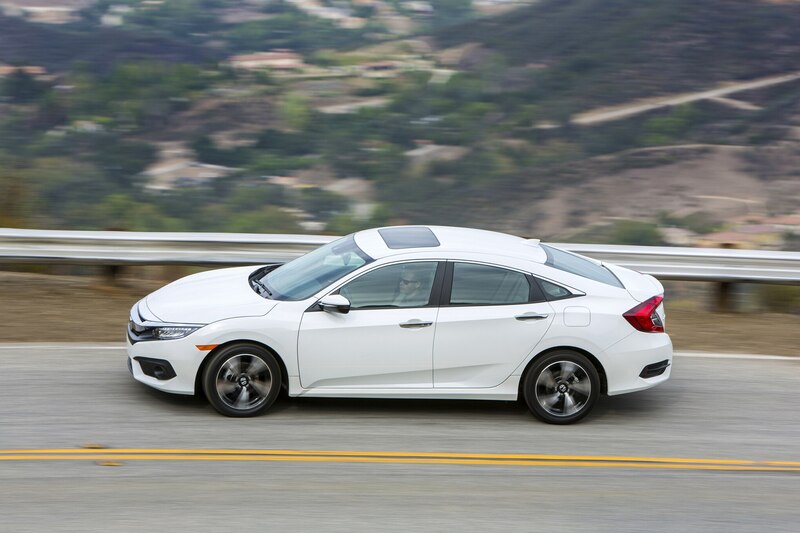 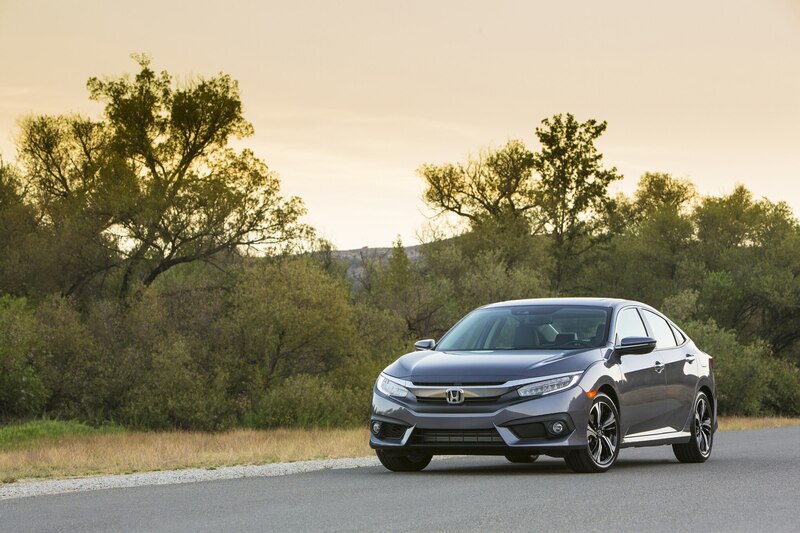 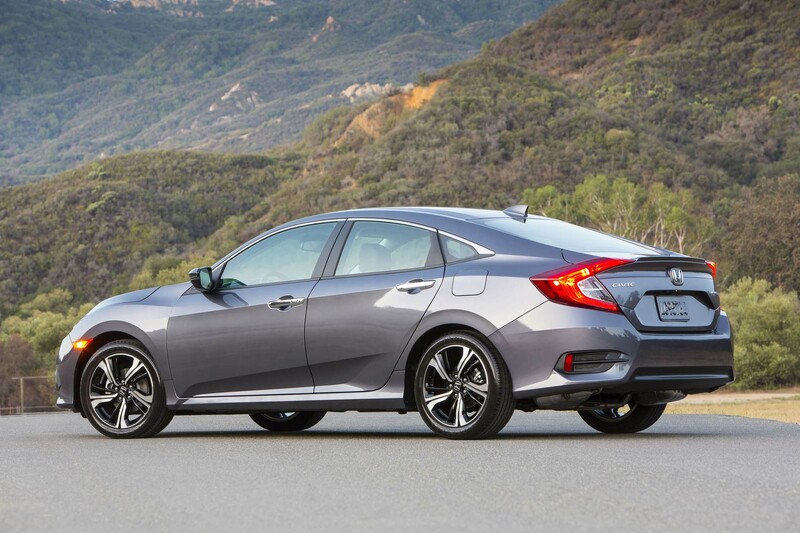 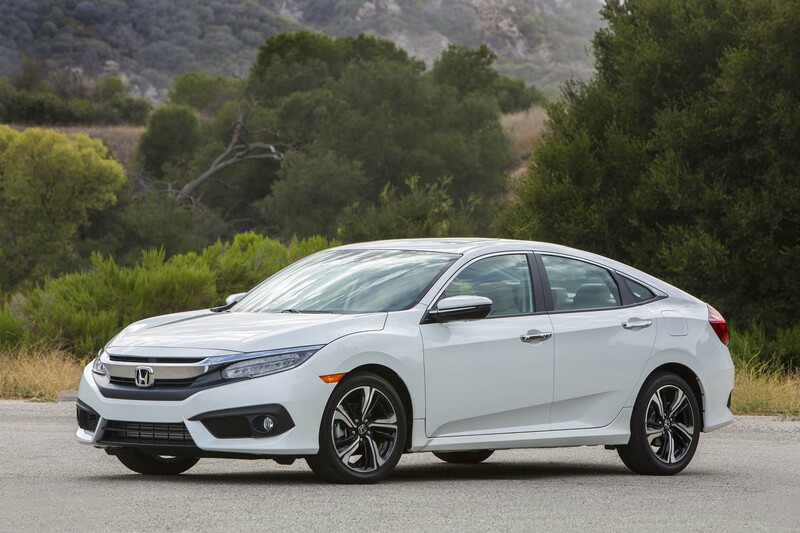 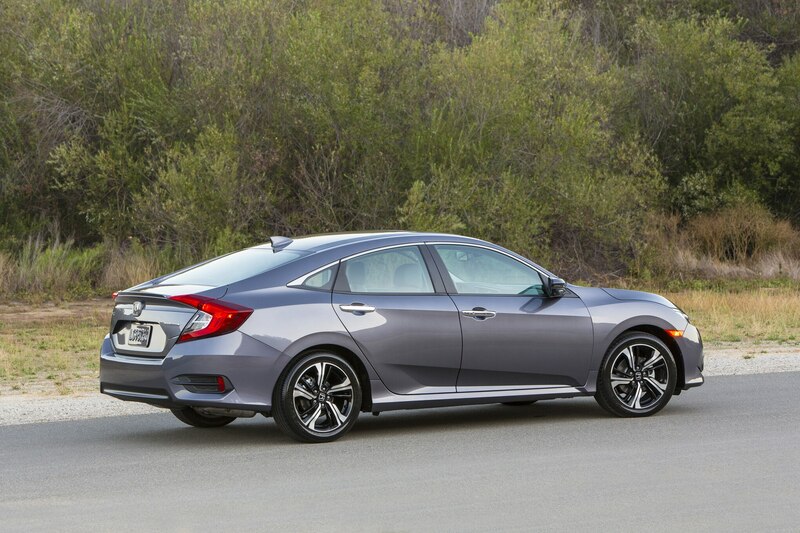 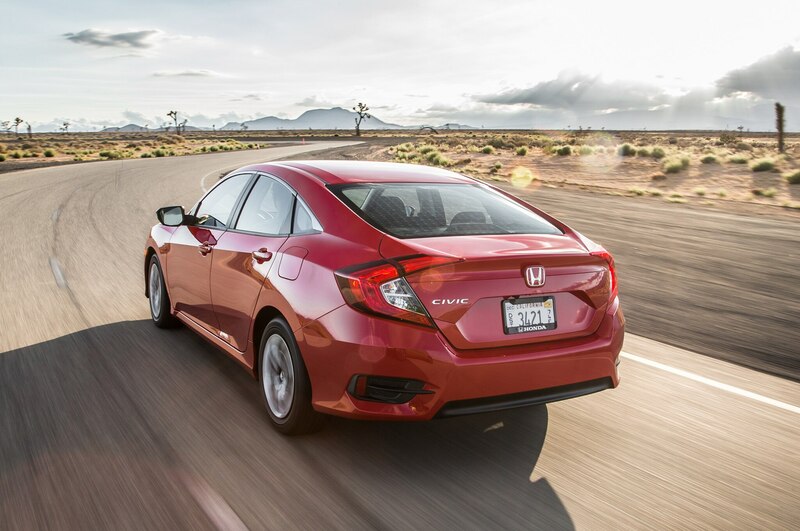 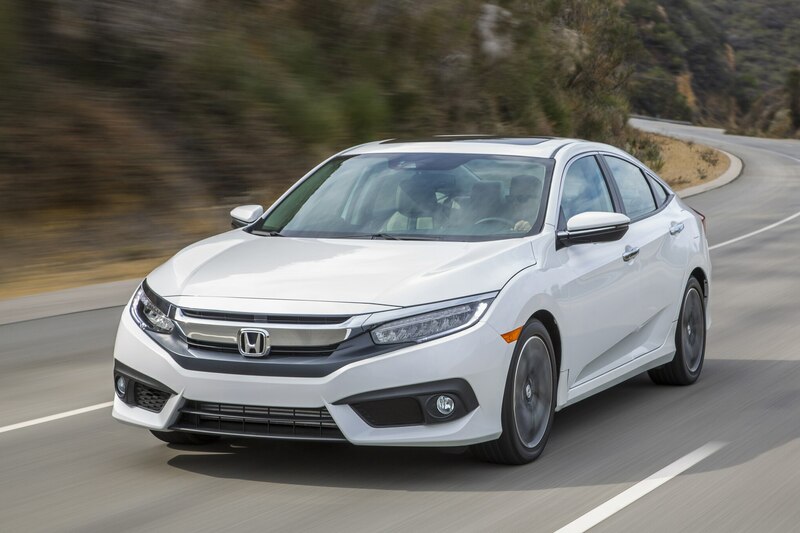 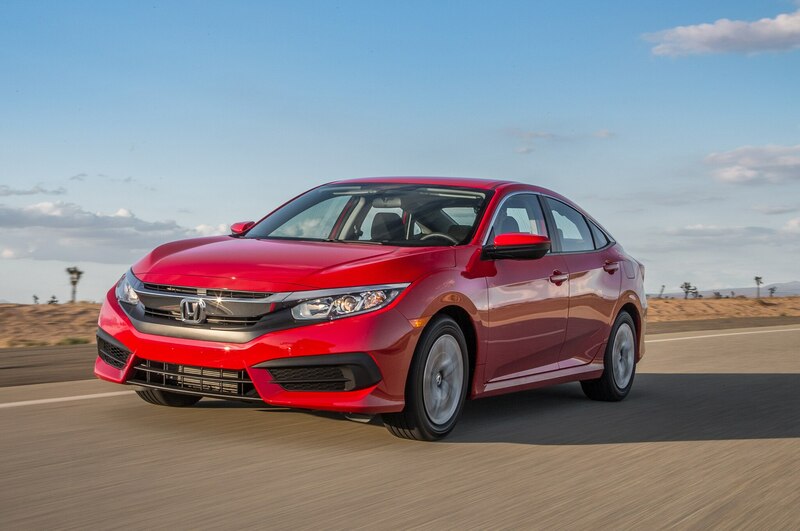 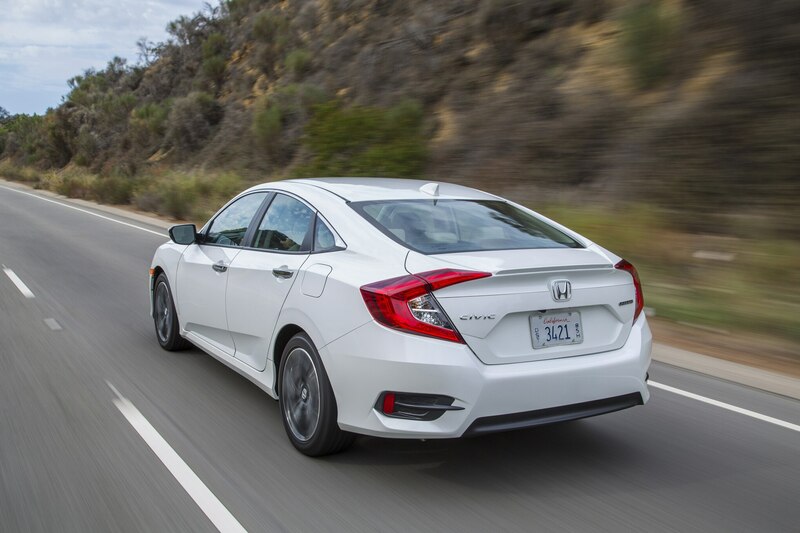 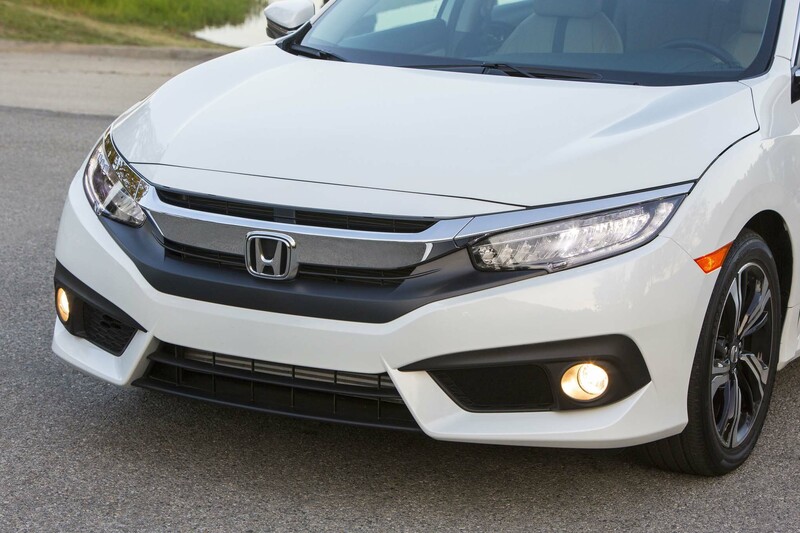 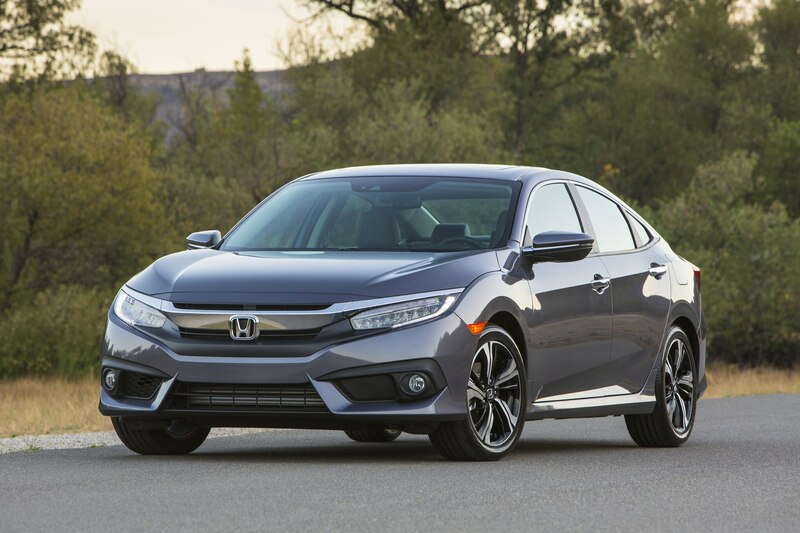 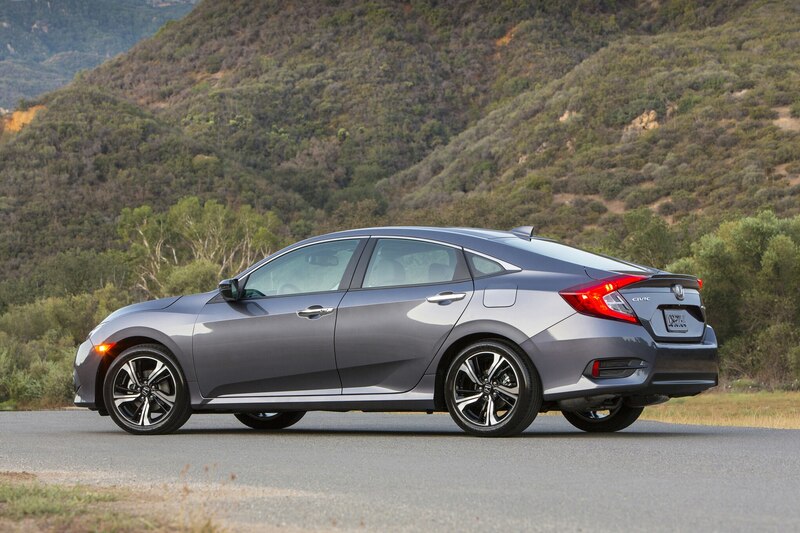 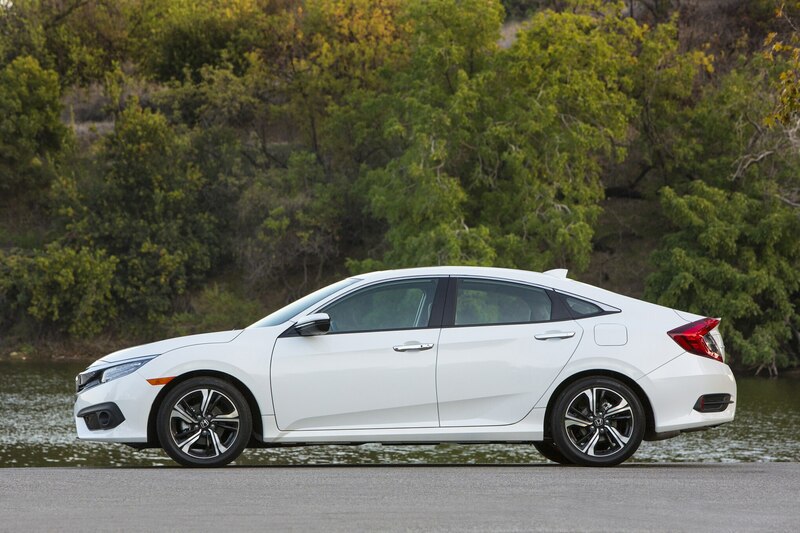 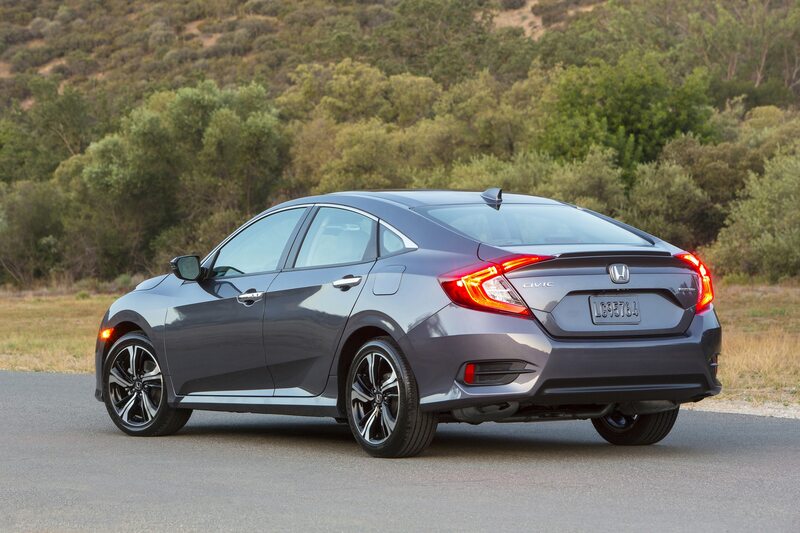 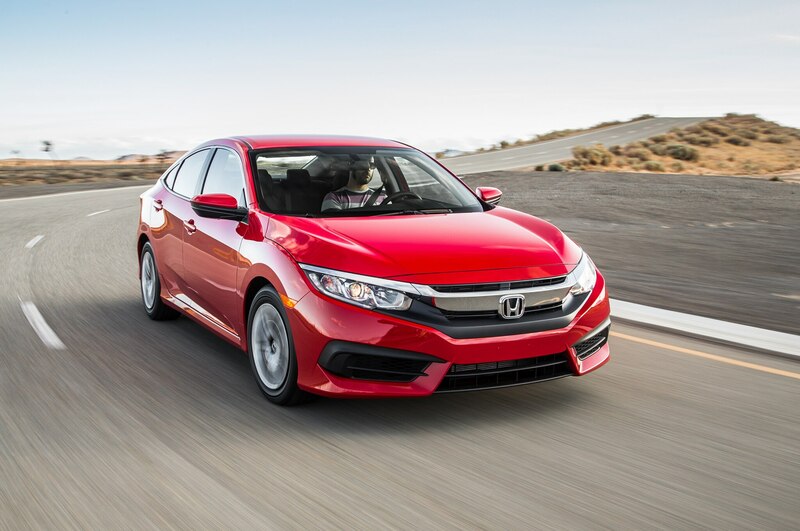 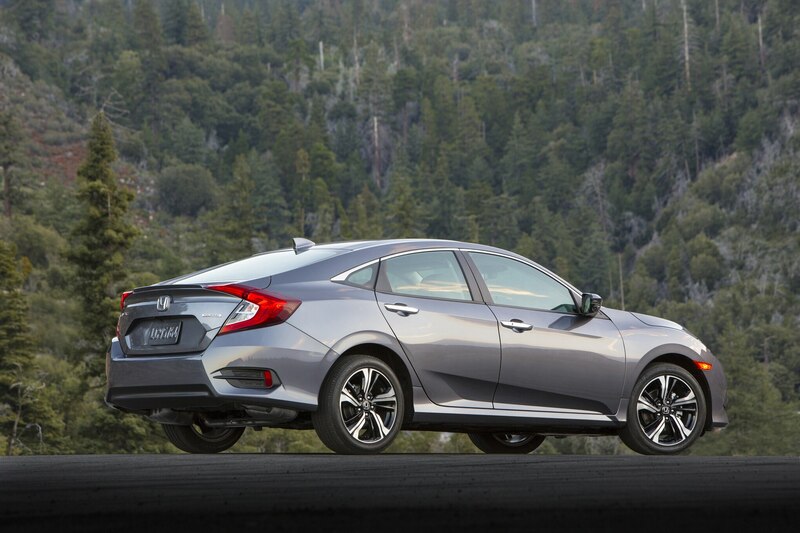 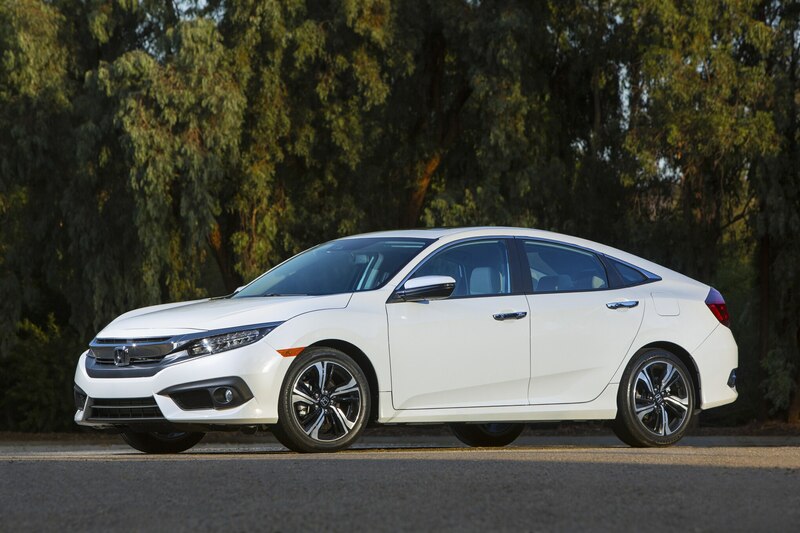 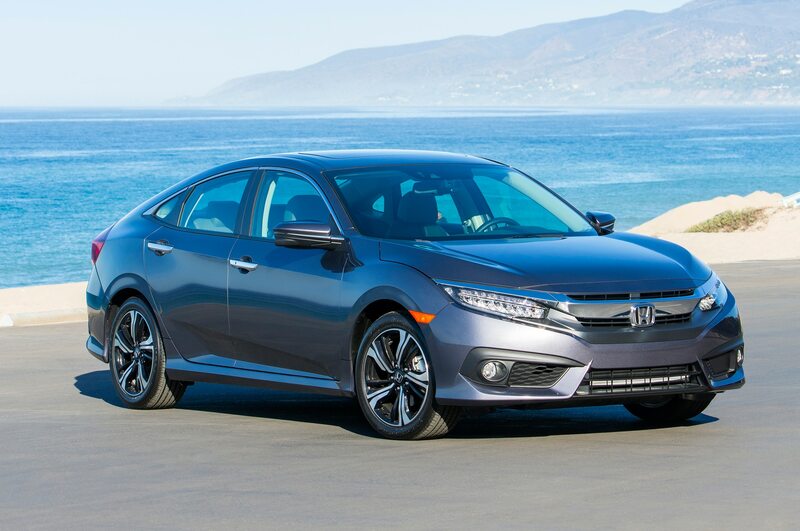 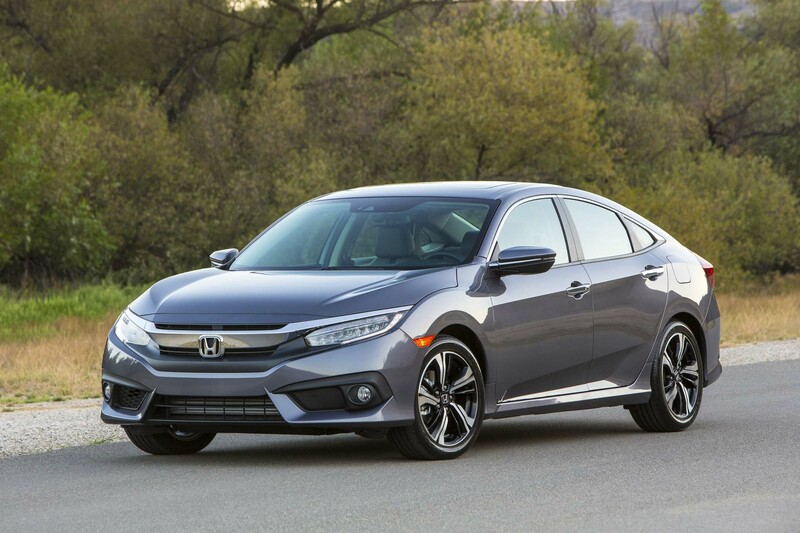 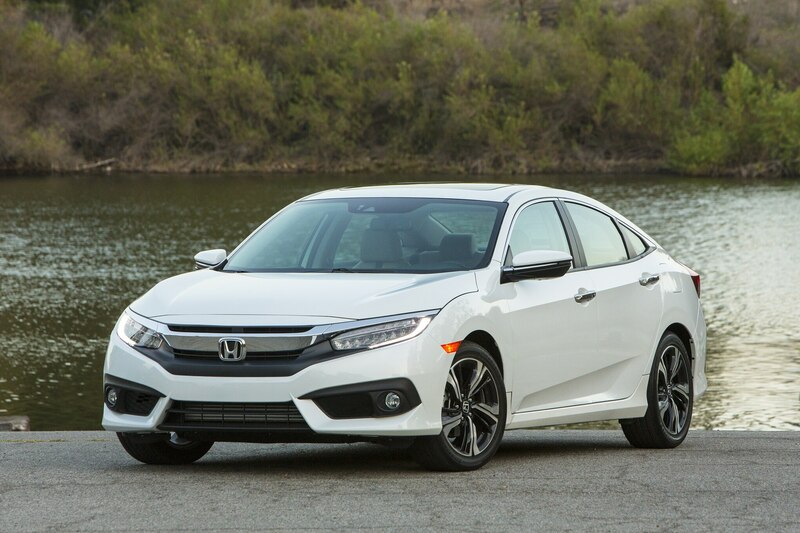 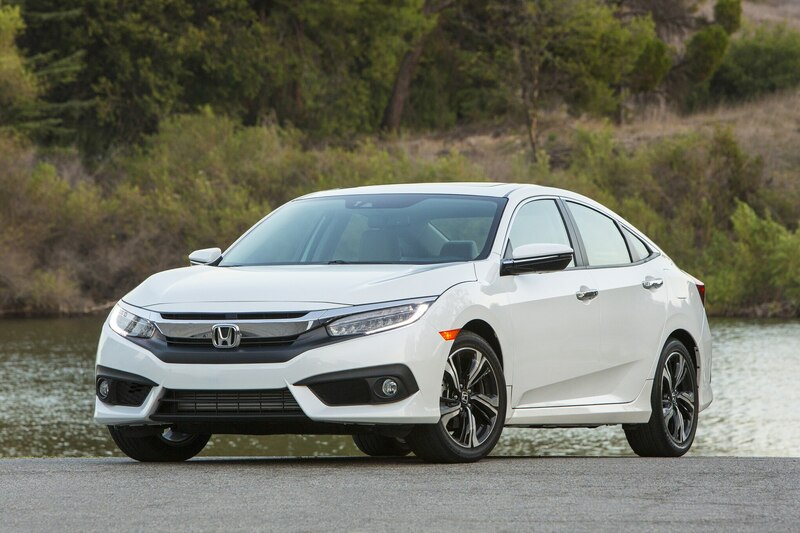 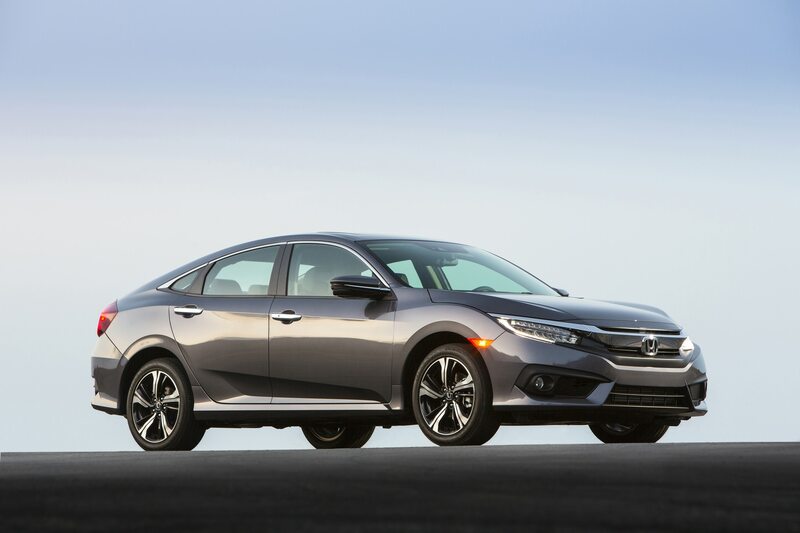 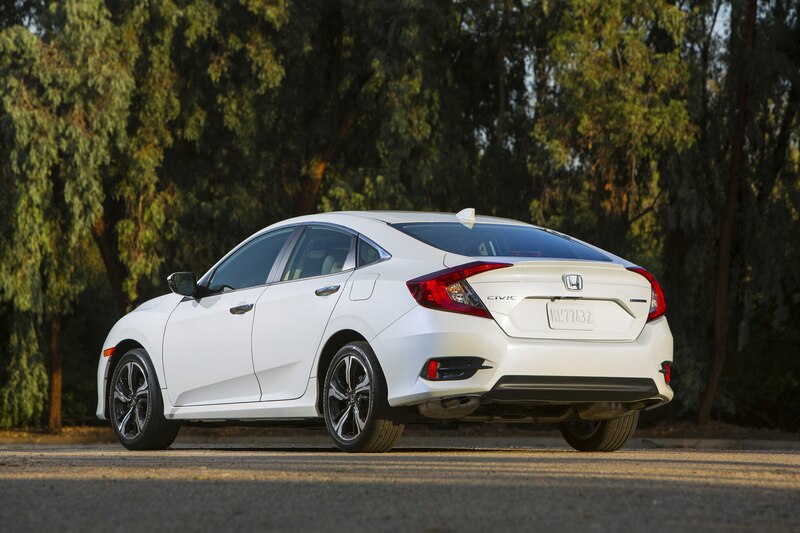 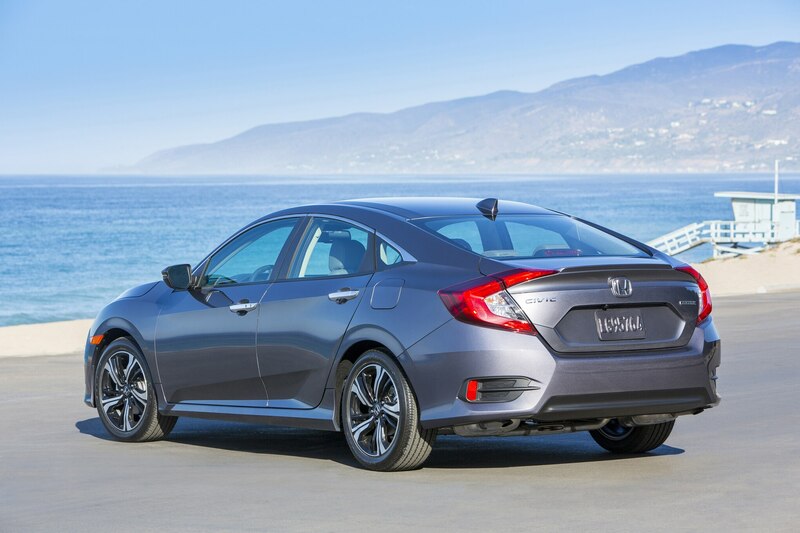 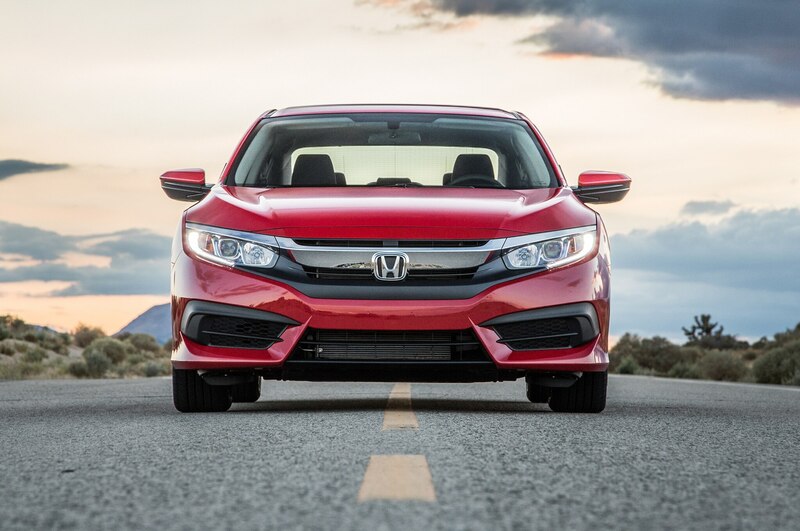 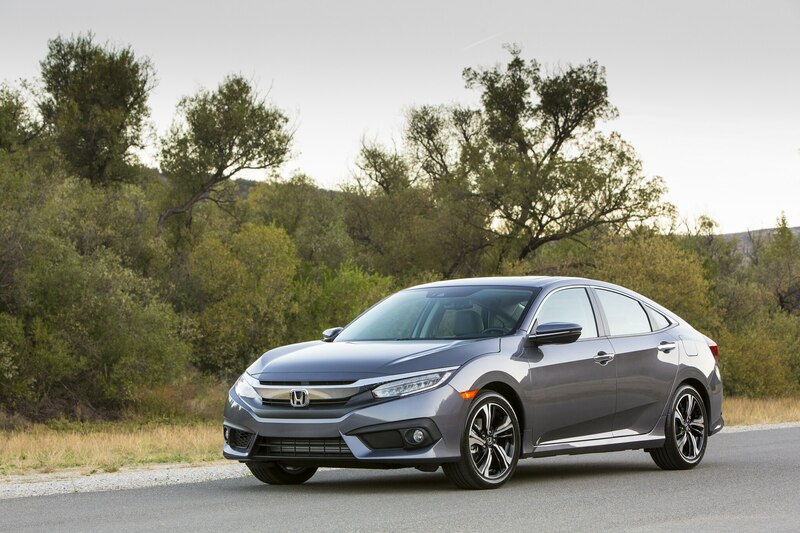 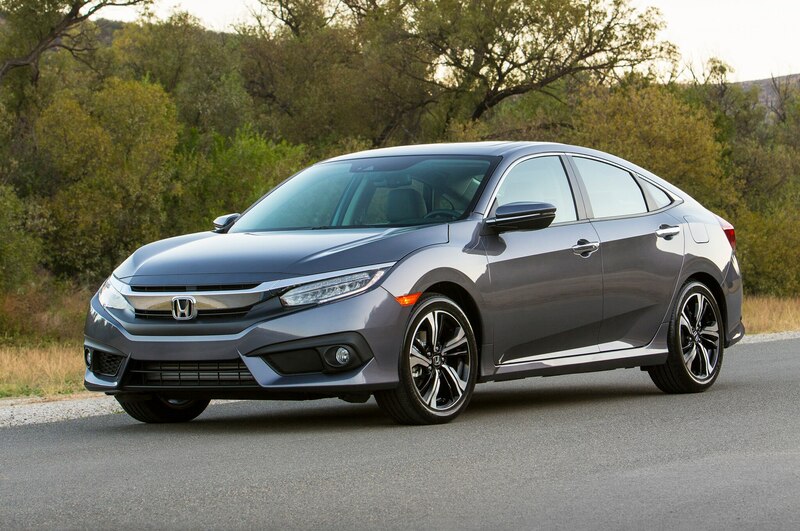 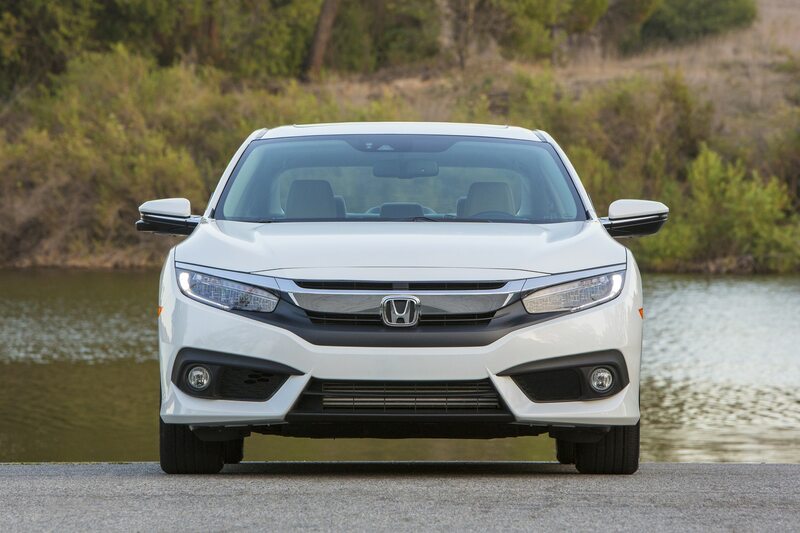 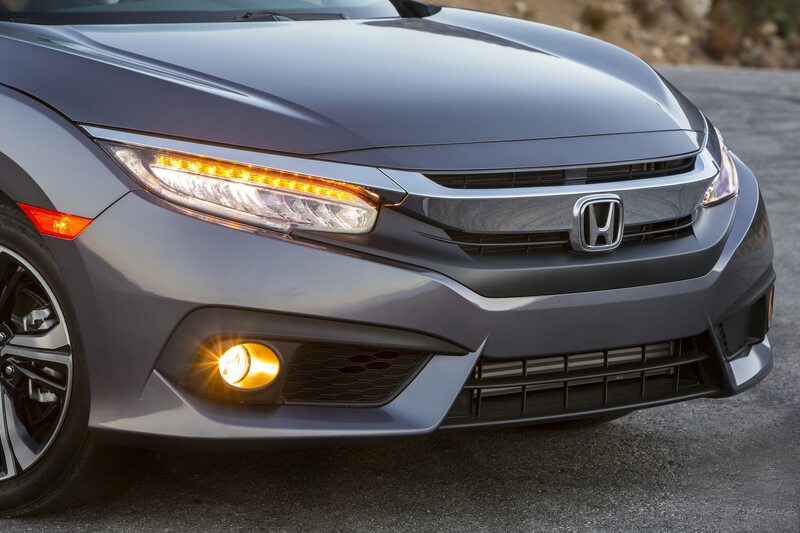 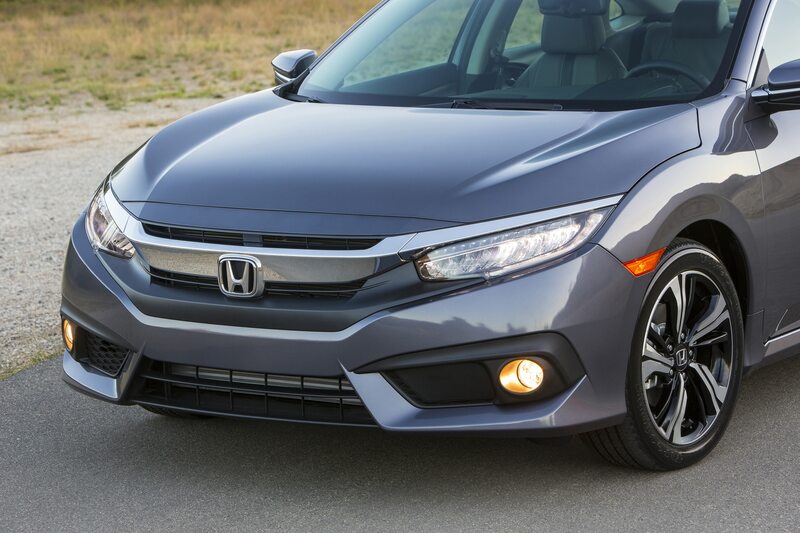 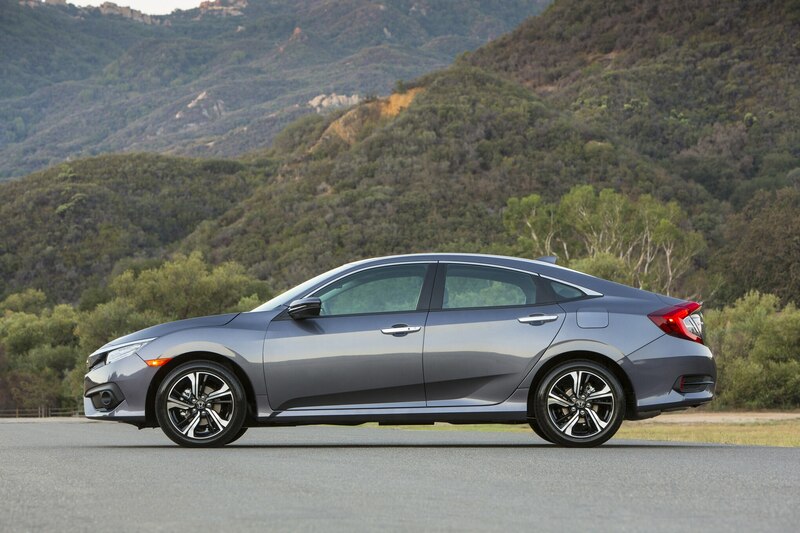 Let’s get one thing clear: The 2016 Honda Civic sedan is a better car than the one it replaces — significantly better. 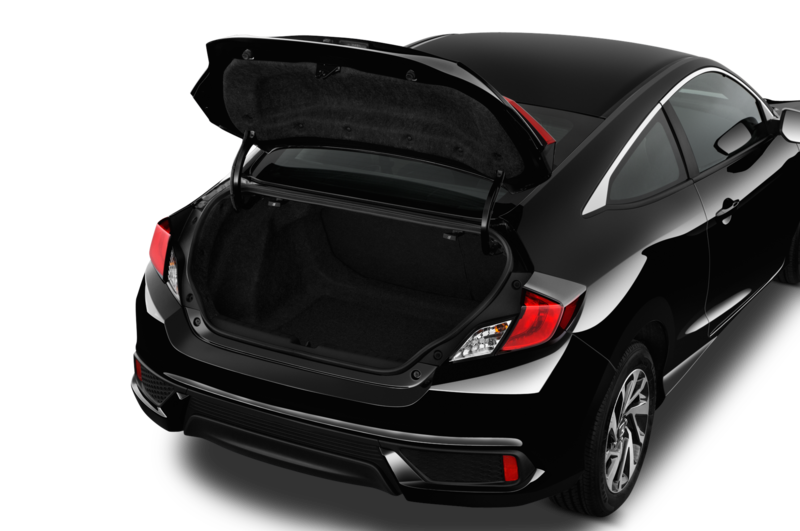 It’s better to look at, better to drive, better to ride in with passengers, and it’s stuffed to the roof with forward-thinking features. 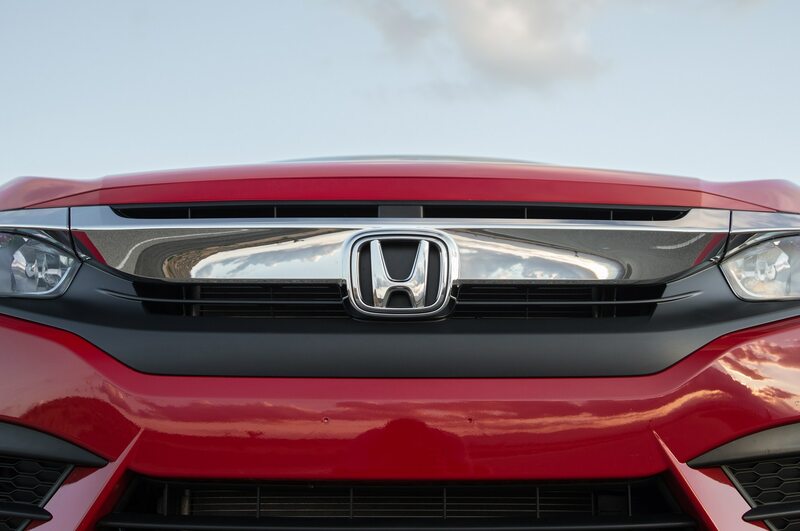 From what we’ve experienced of it thus far, we’re convinced this Civic has potential for greatness. 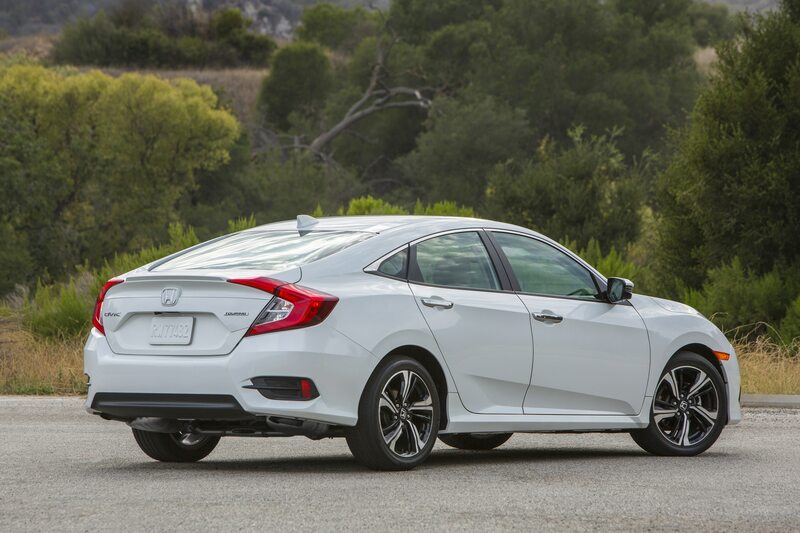 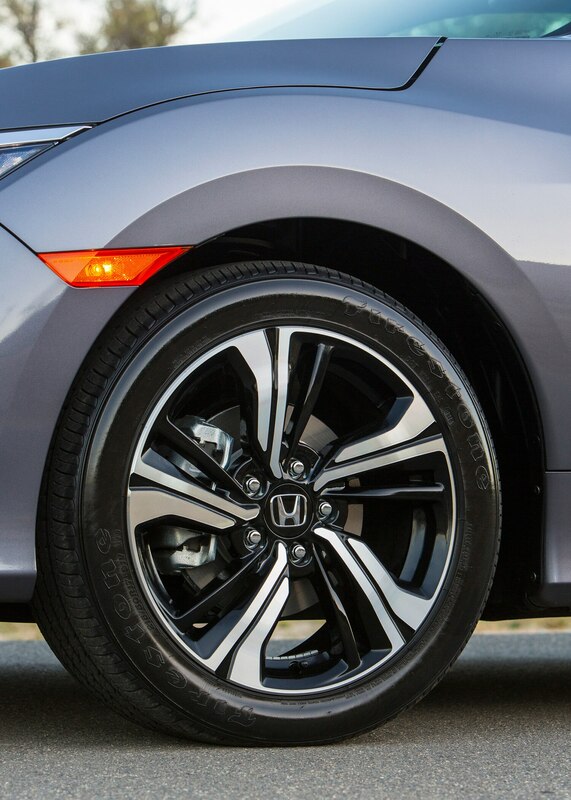 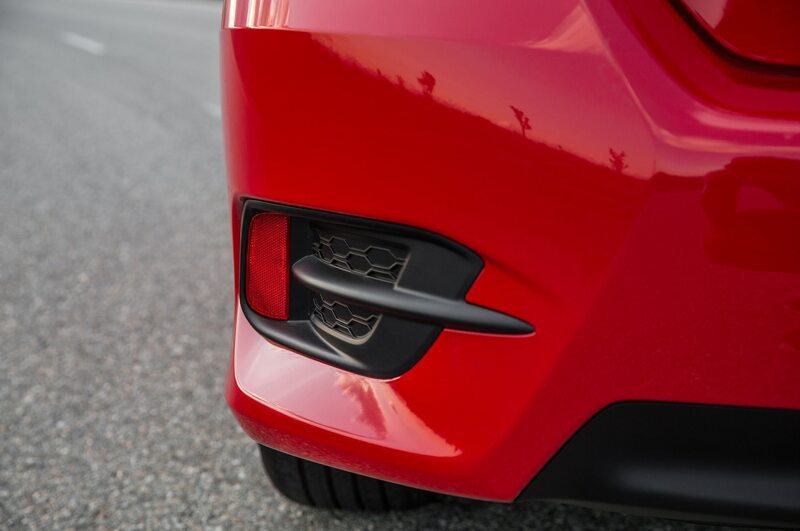 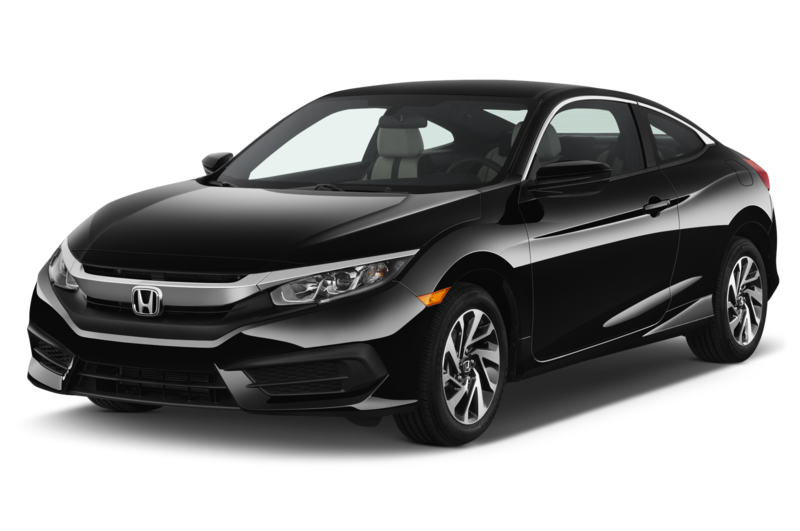 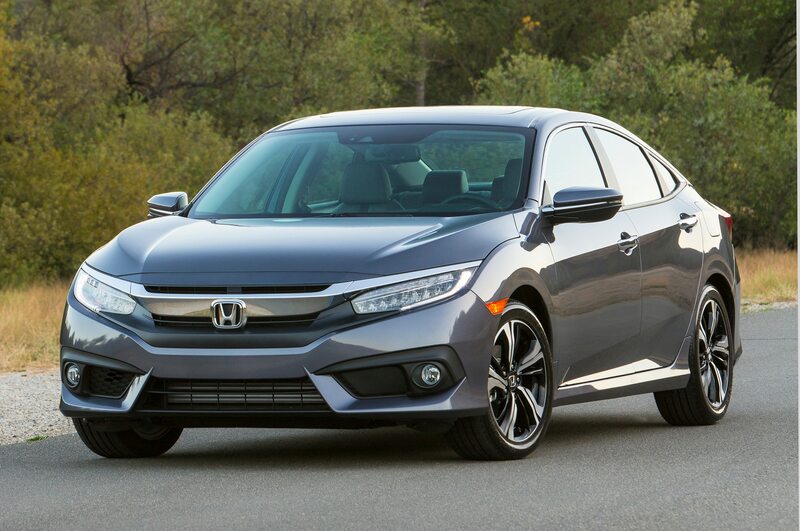 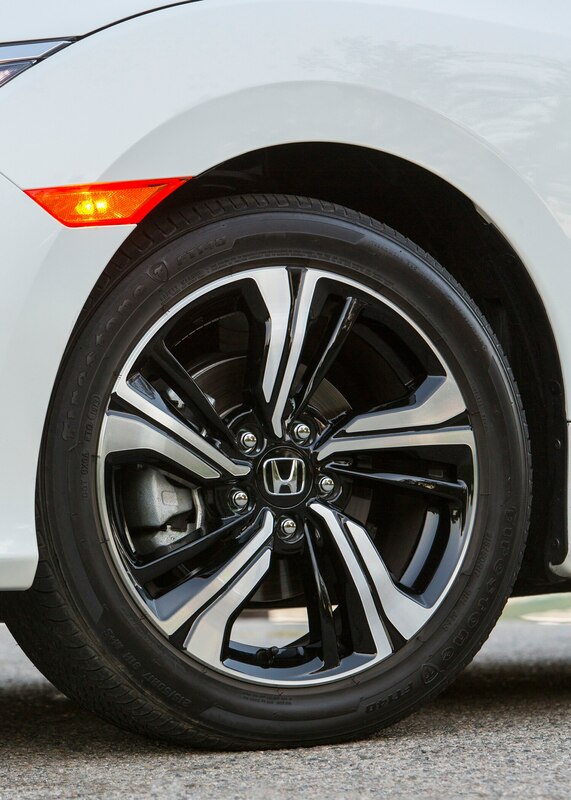 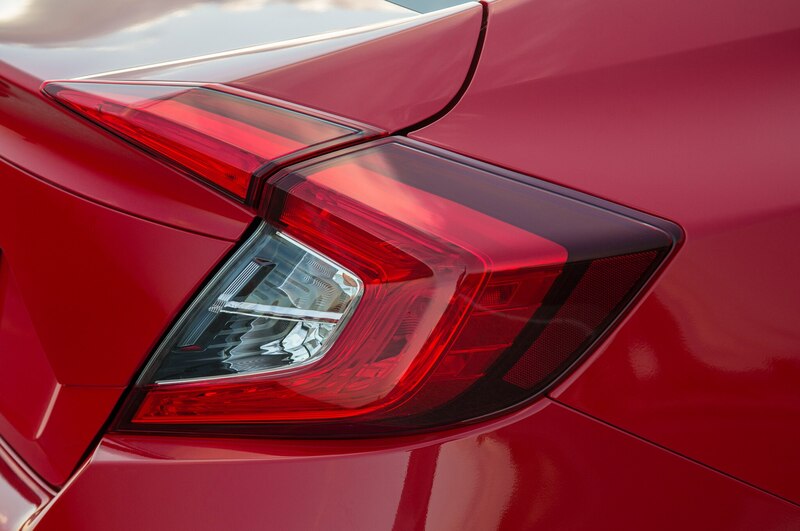 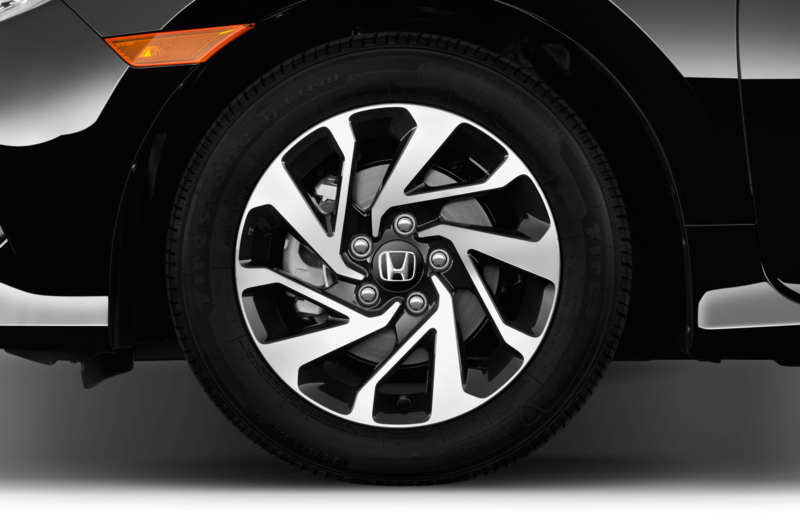 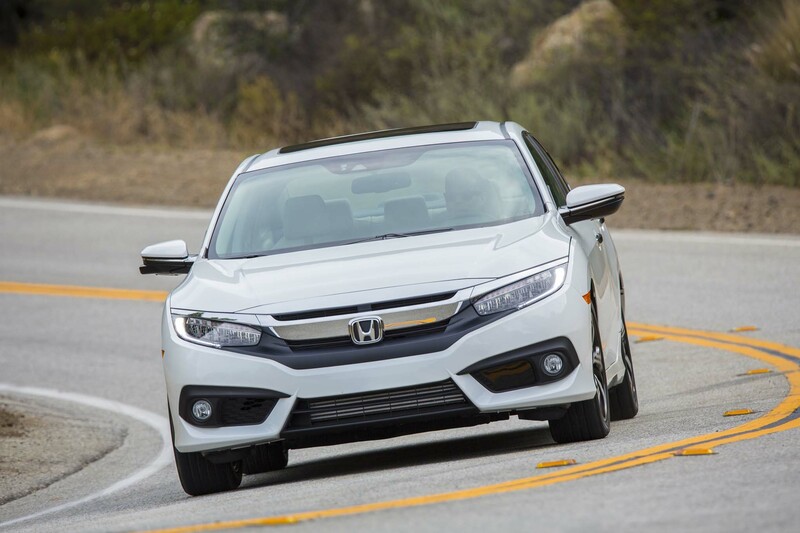 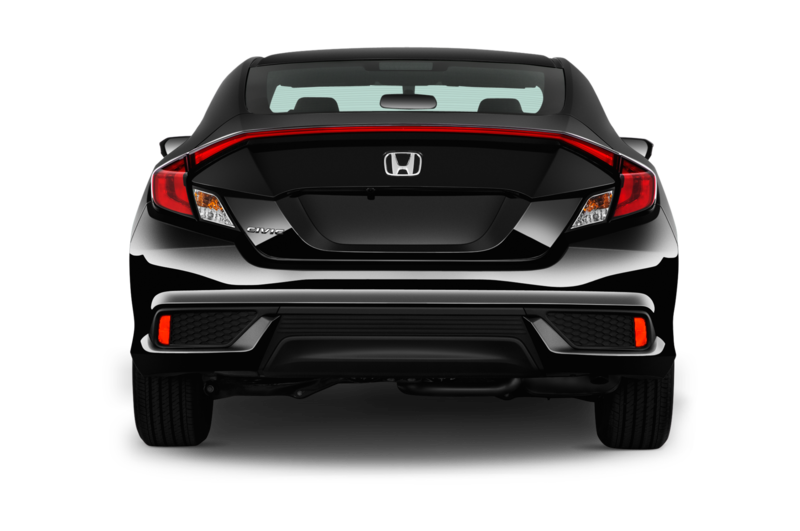 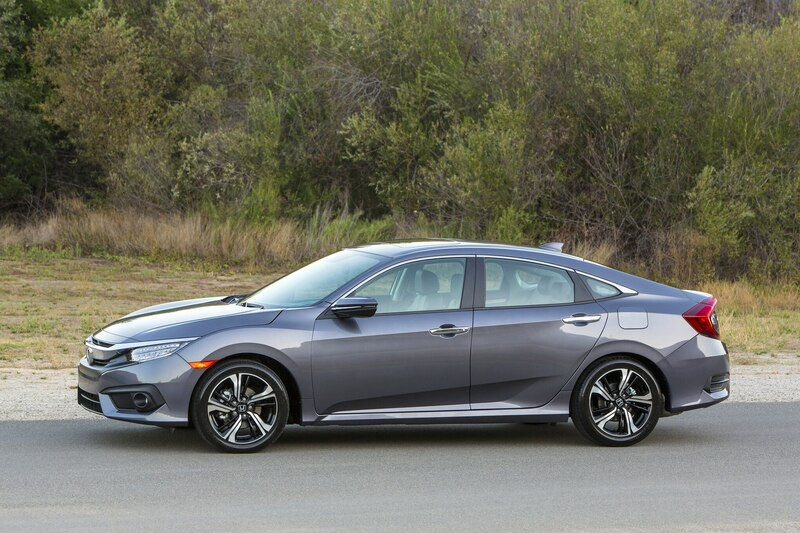 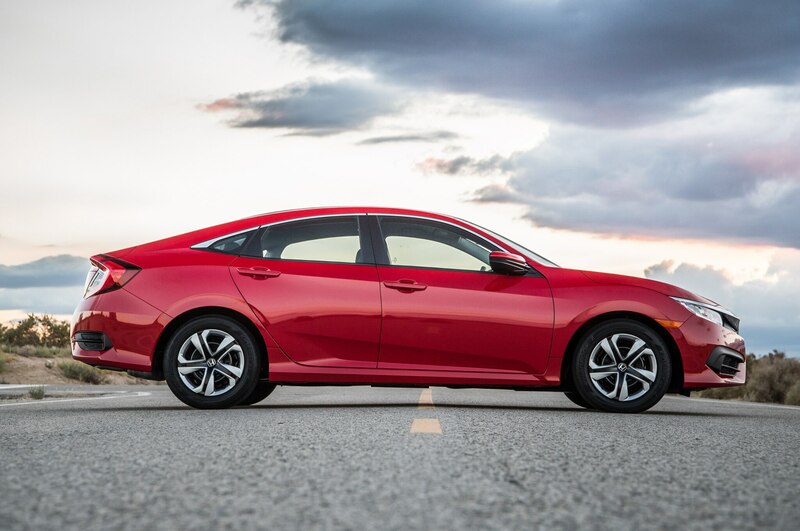 Dimensionally, the 2016 Honda Civic has grown nearly 3 inches longer and 2 inches wider overall, while its wheelbase has been stretched 1.2 inches as well. 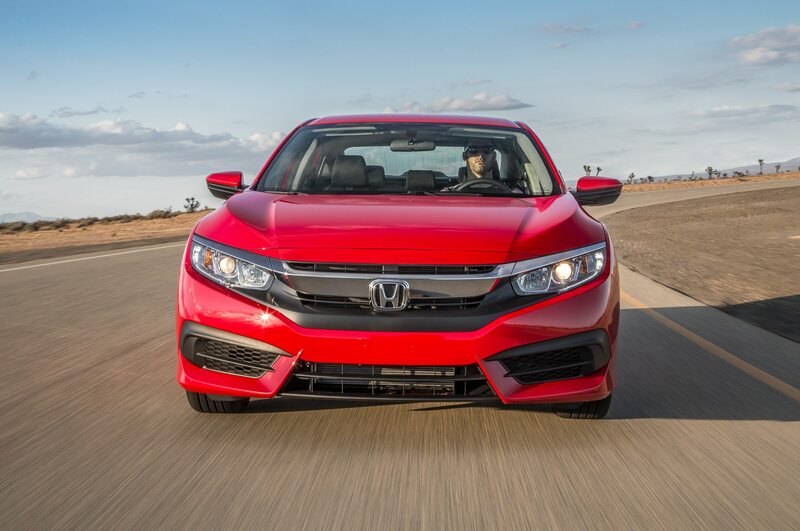 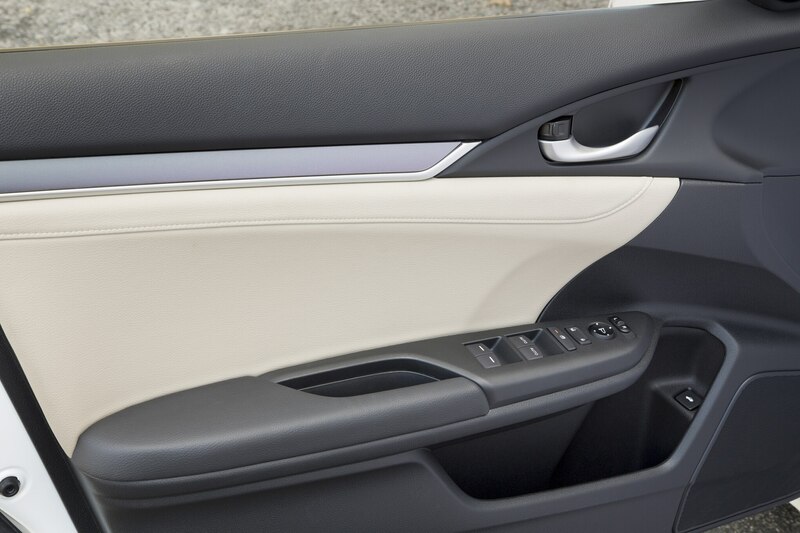 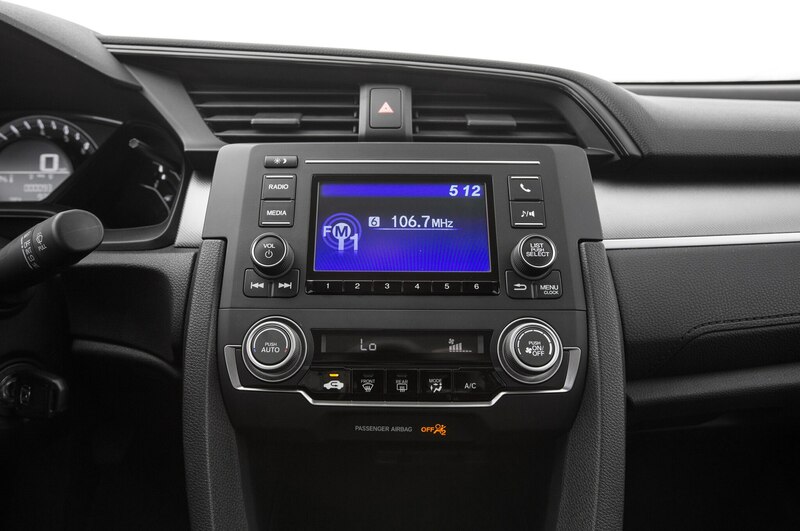 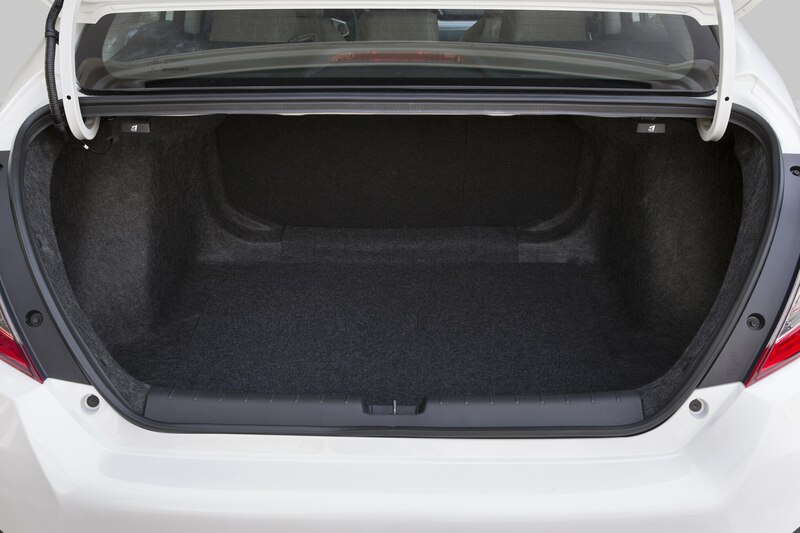 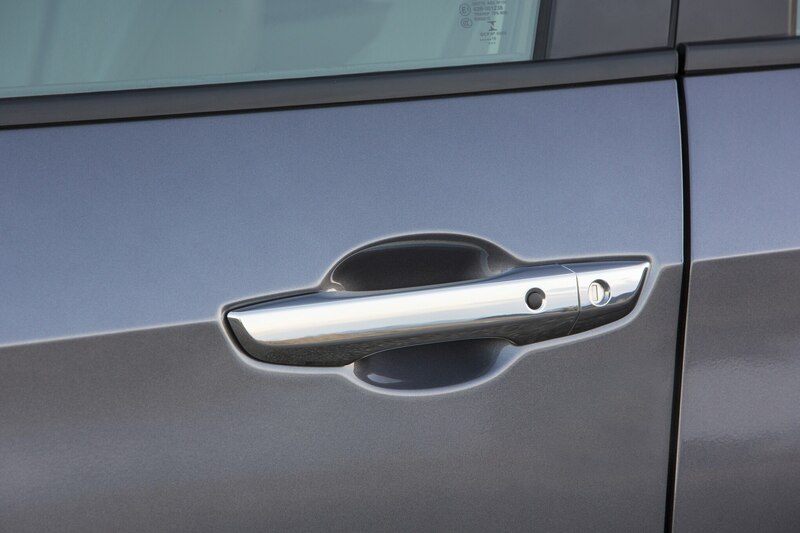 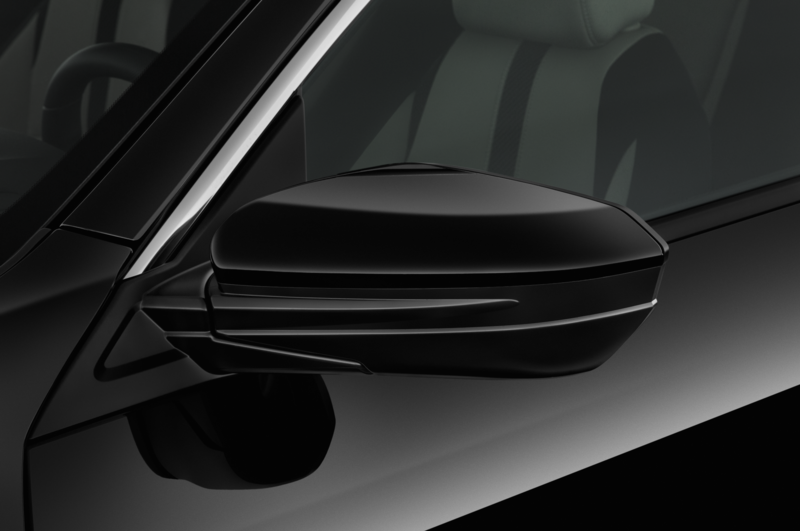 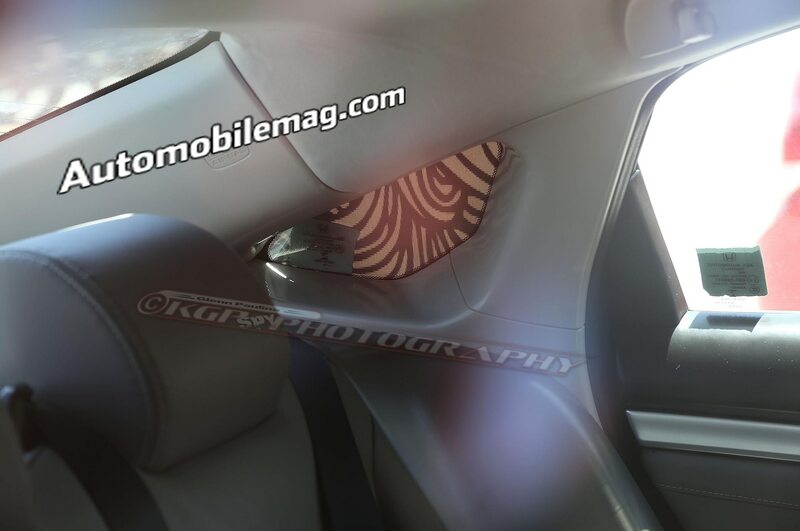 This means interior dimensions are up over the outgoing car, and Honda even claims best-in-class interior volume. 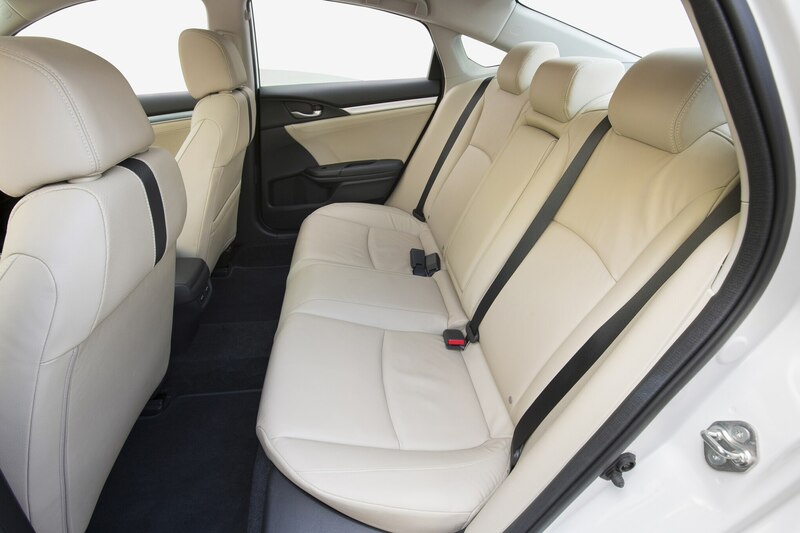 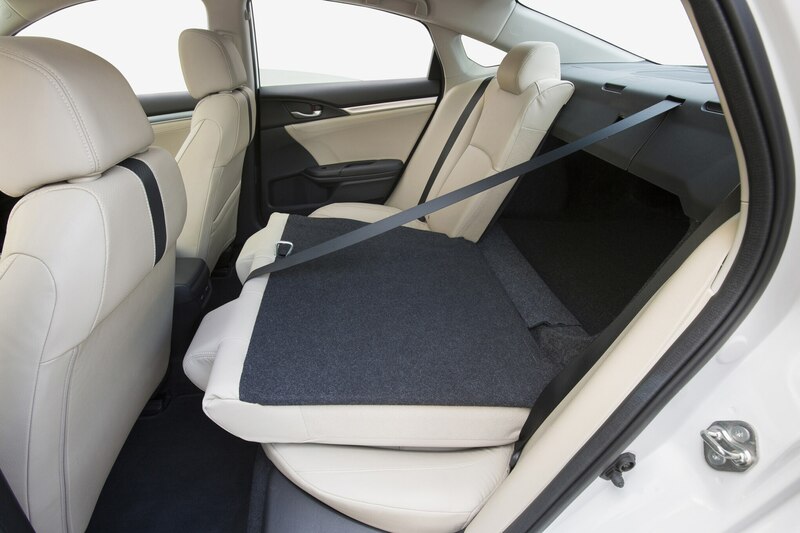 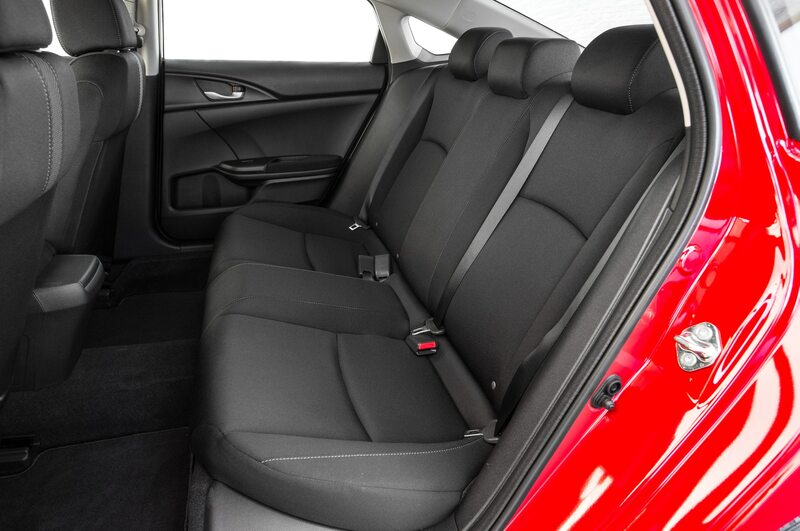 Rear seat passengers will find themselves much more comfortable, with a noticeable amount of extra knee room and headroom. 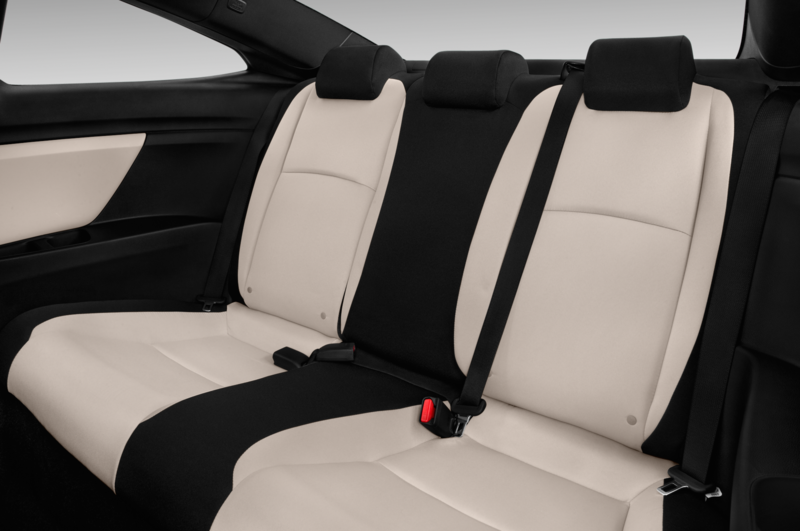 A lower and shorter hood allows also the front seats to be mounted lower in the car, delivering a sportier driving position. 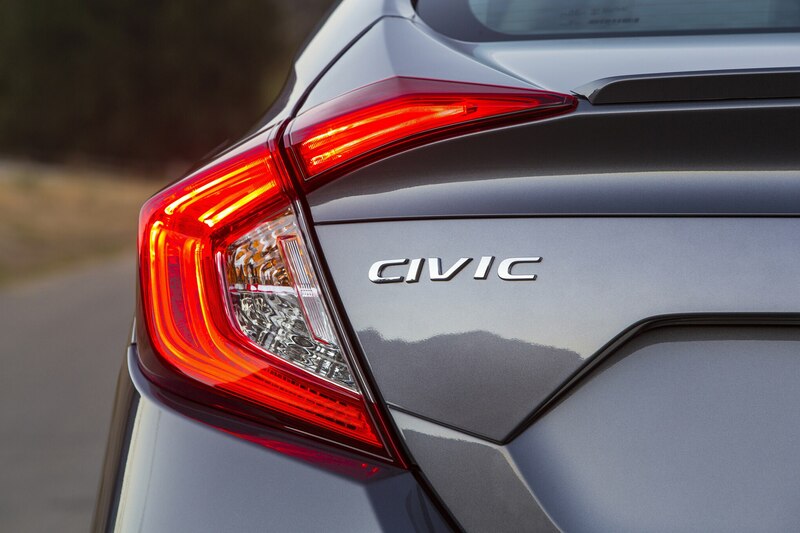 The Epic Civic’s redesigned cabin also addresses a major pet peeve we’ve had with the previous-generation car. 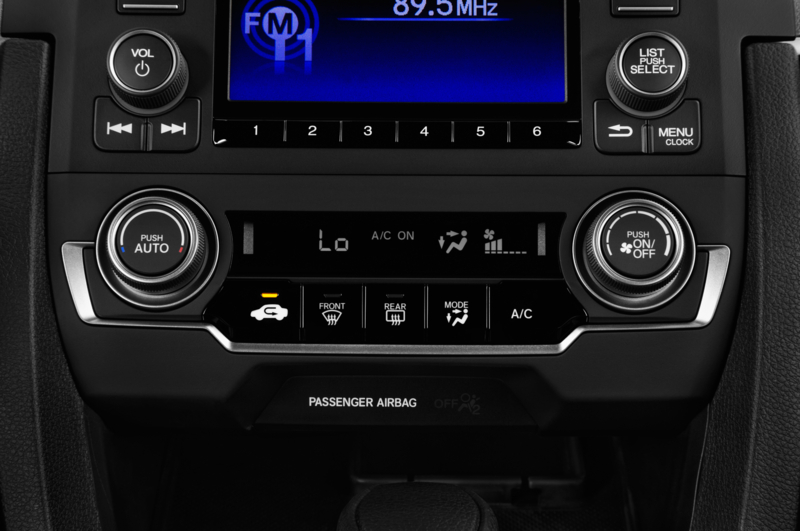 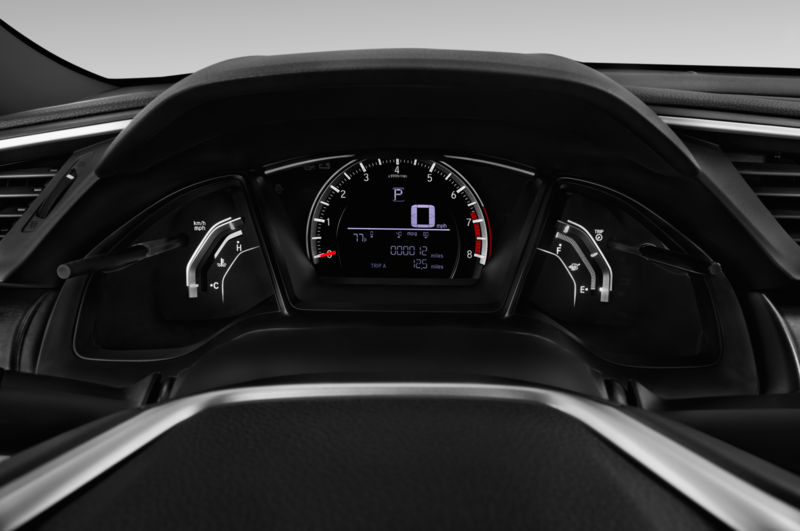 The dual-tier central information display is finally gone, replaced by a single, conventionally mounted 7-inch screen (in models so equipped), and even better, now there’s a conventional instrument cluster directly ahead of the driver. 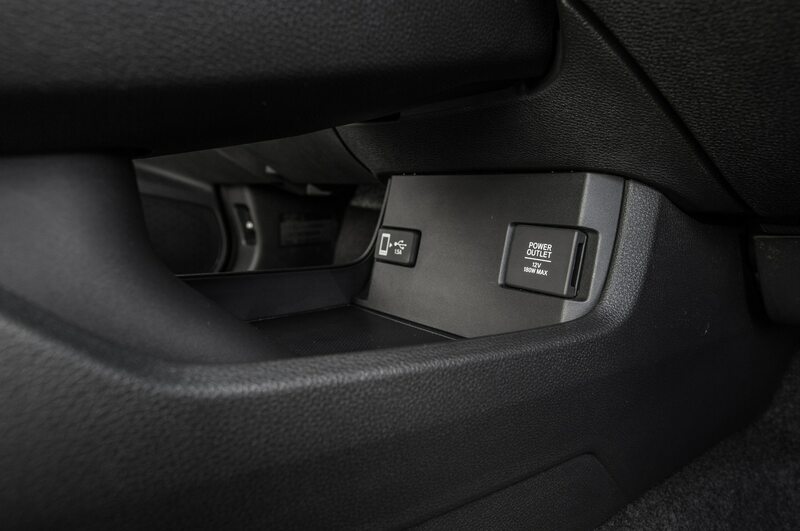 This makes finding information much simpler, and it ups the cabin’s aesthetic quotient. 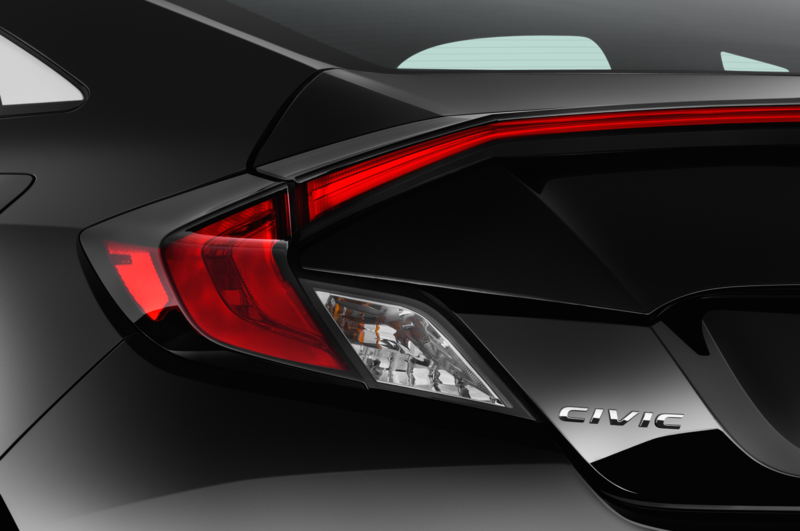 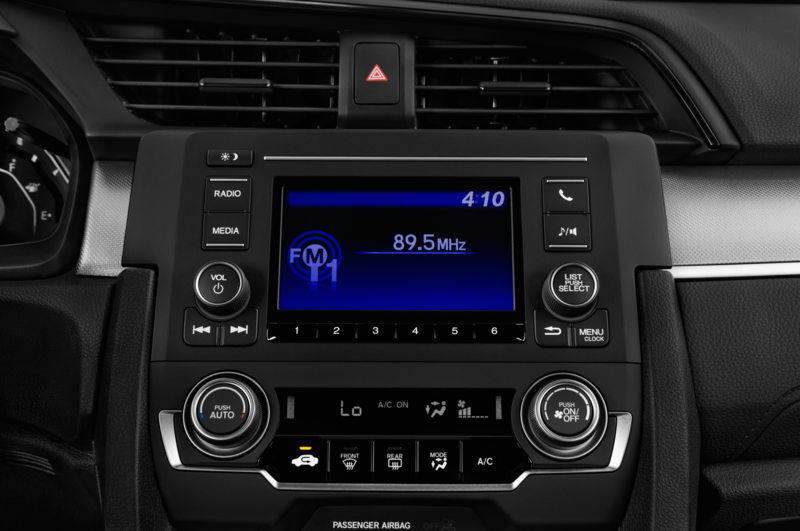 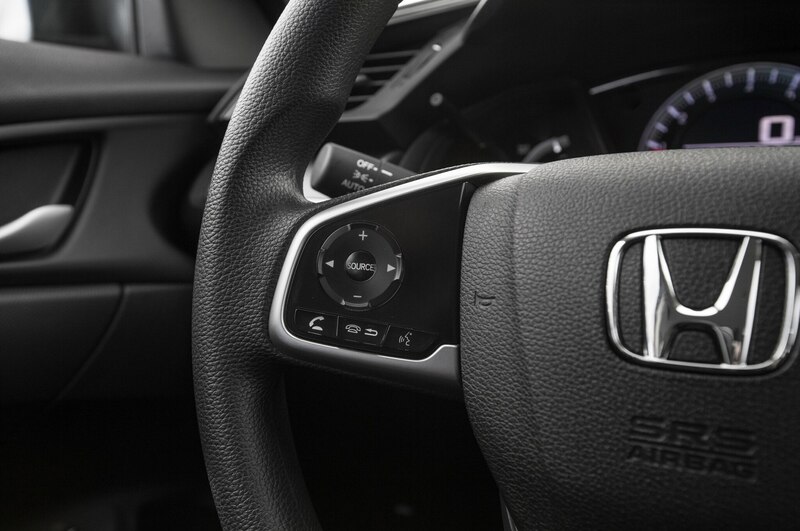 Meanwhile, tech junkies will be thrilled that Civic EX models and above will be compatible with Apple CarPlay and Android Auto. 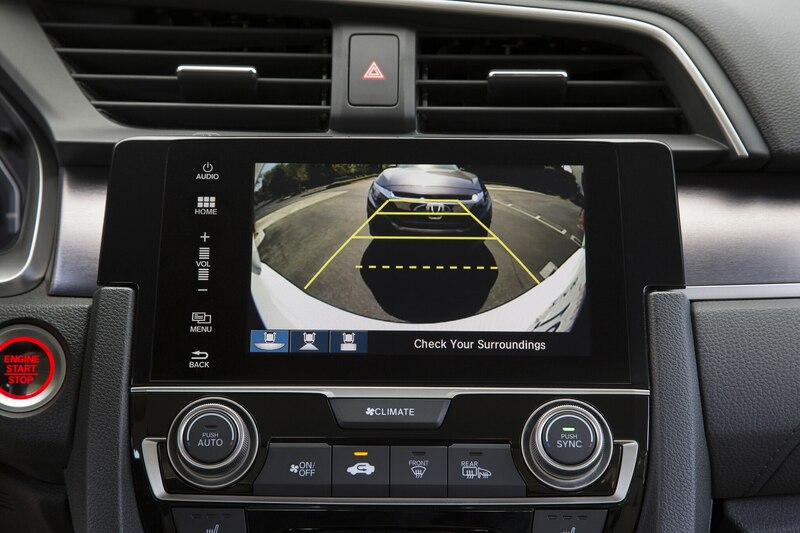 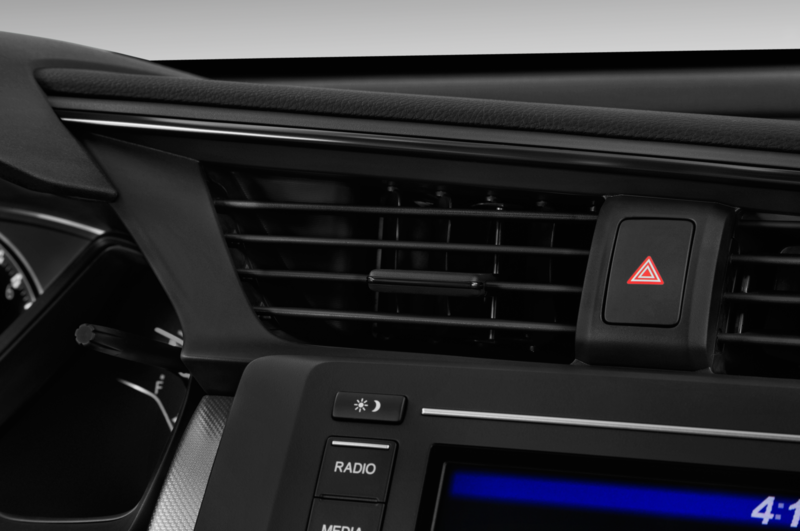 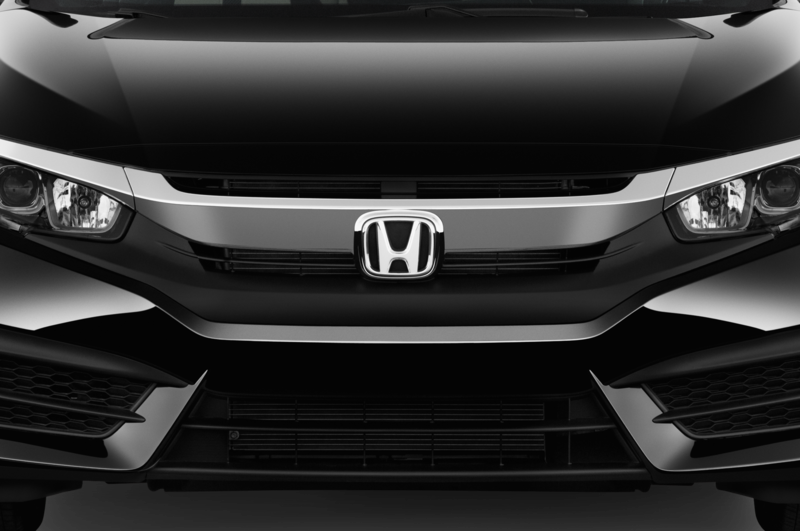 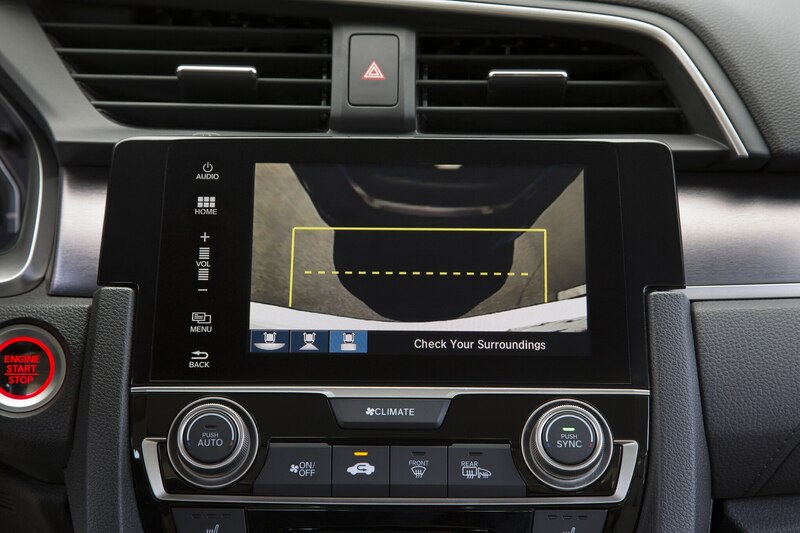 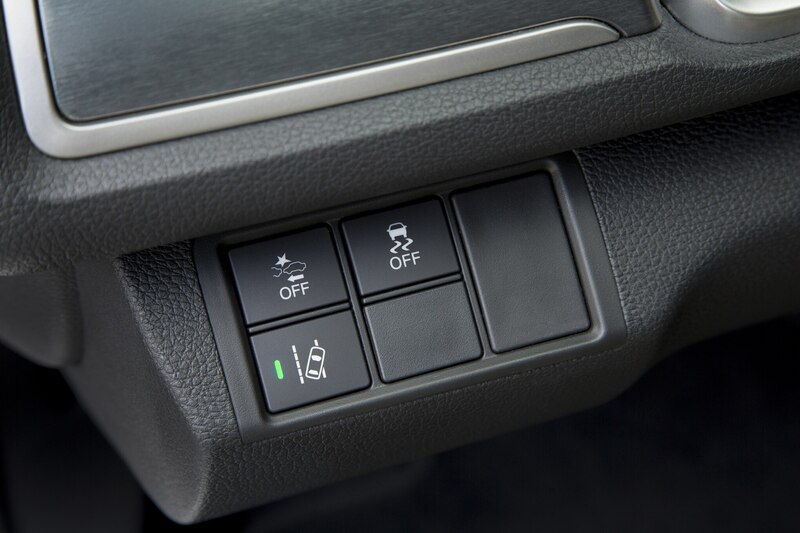 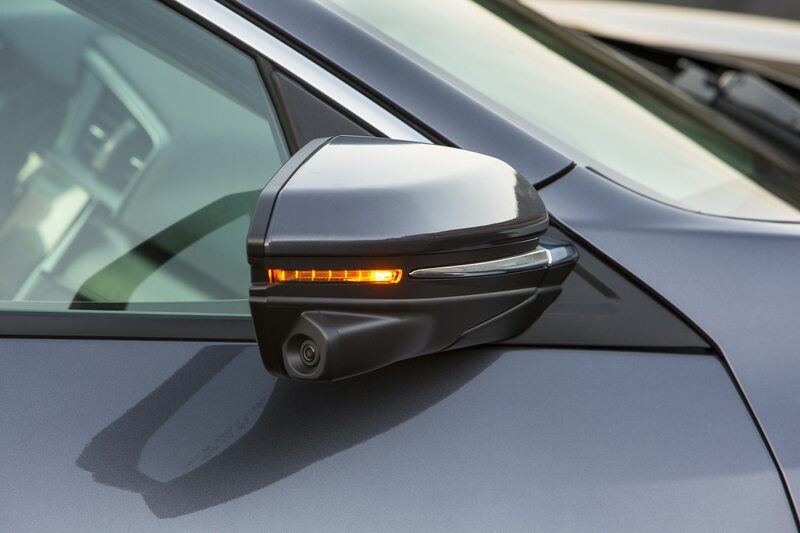 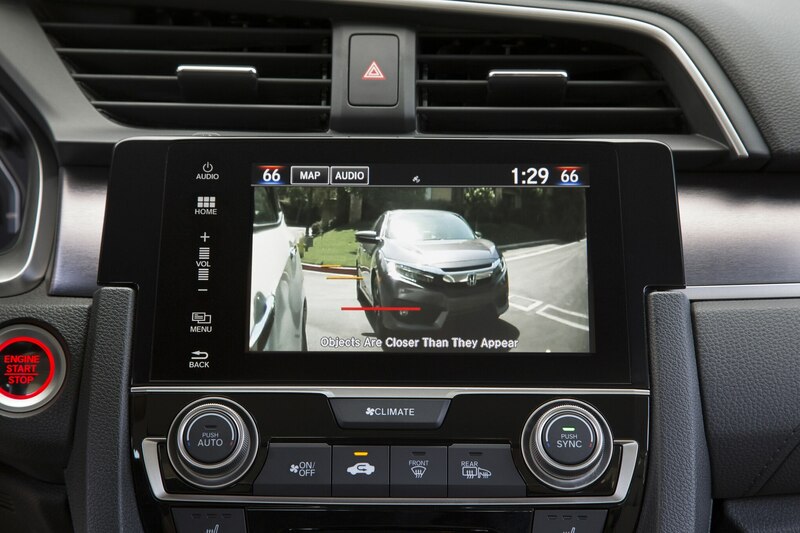 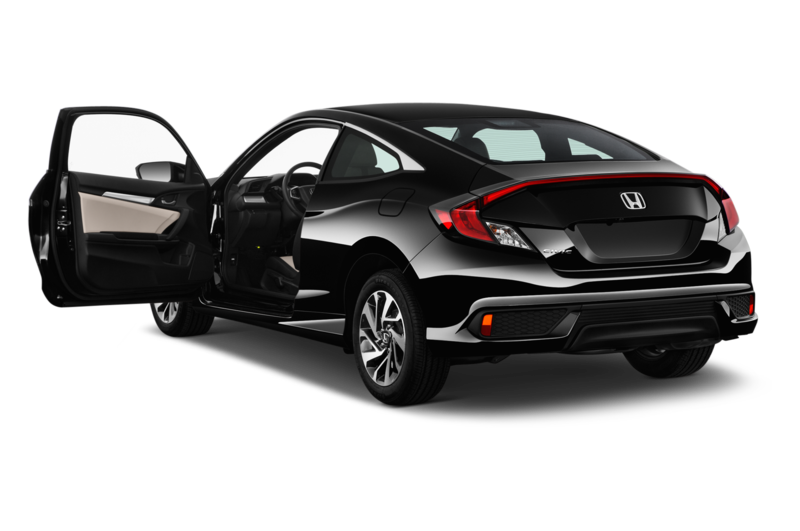 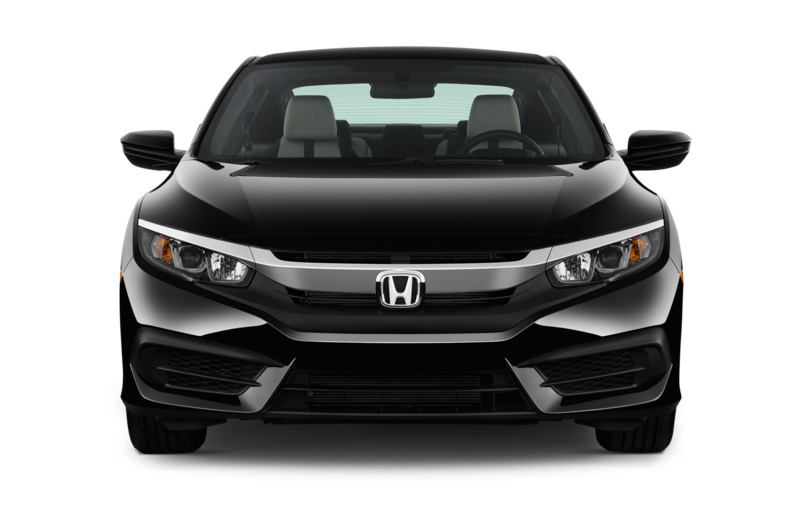 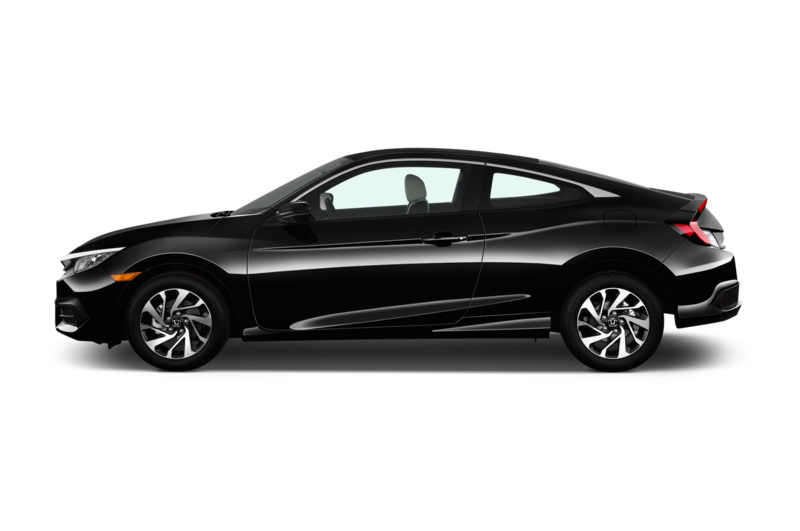 The Honda Sensing safety suite is also available, with features including adaptive cruise control, forward collision warning, lane departure warning, and lane keeping assist. 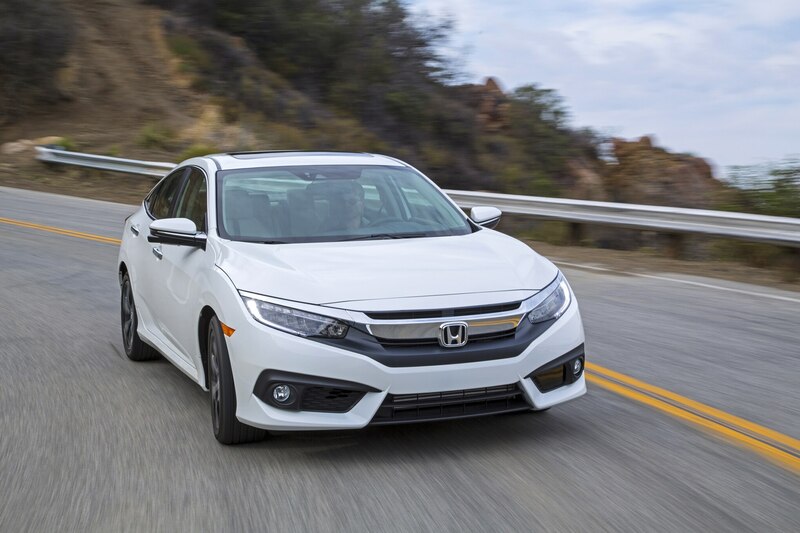 With these technologies plus a unique front crash structure designed to push the engine downward in the event of a collision, Honda is expecting top marks for this car in both NHTSA and IIHS crash testing. 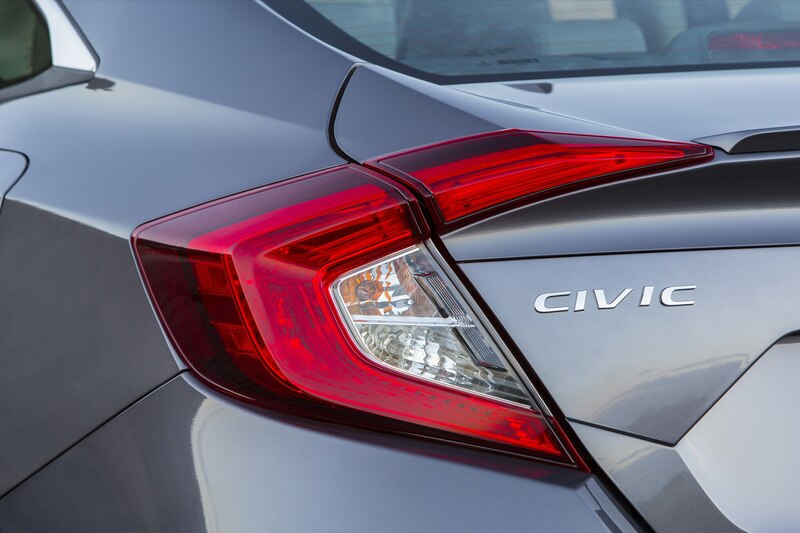 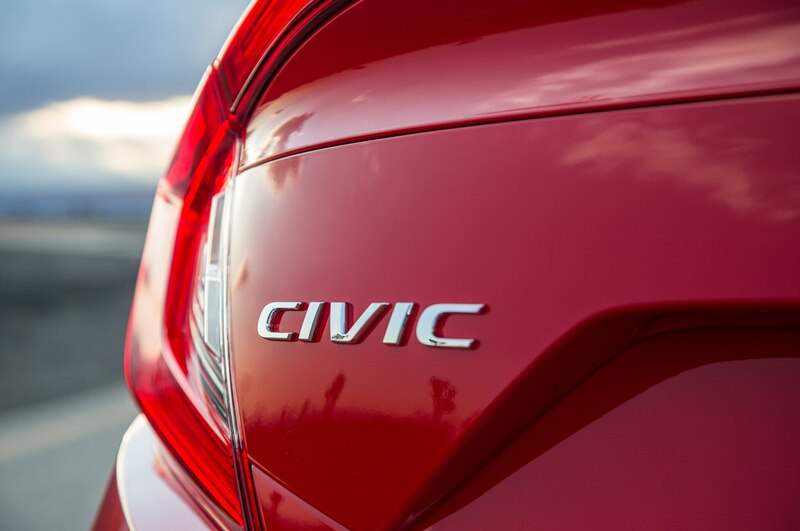 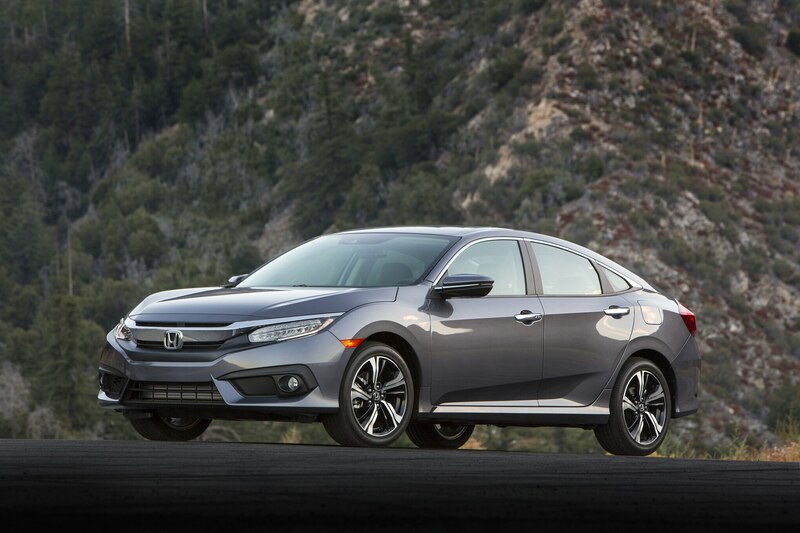 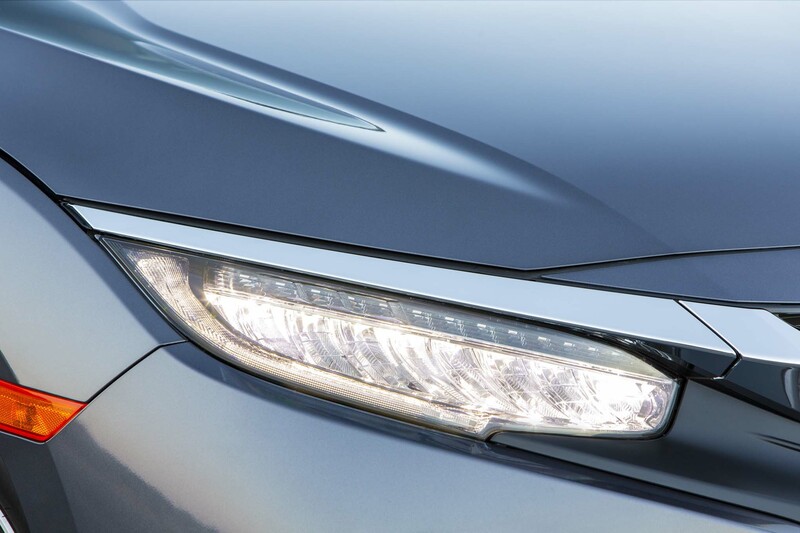 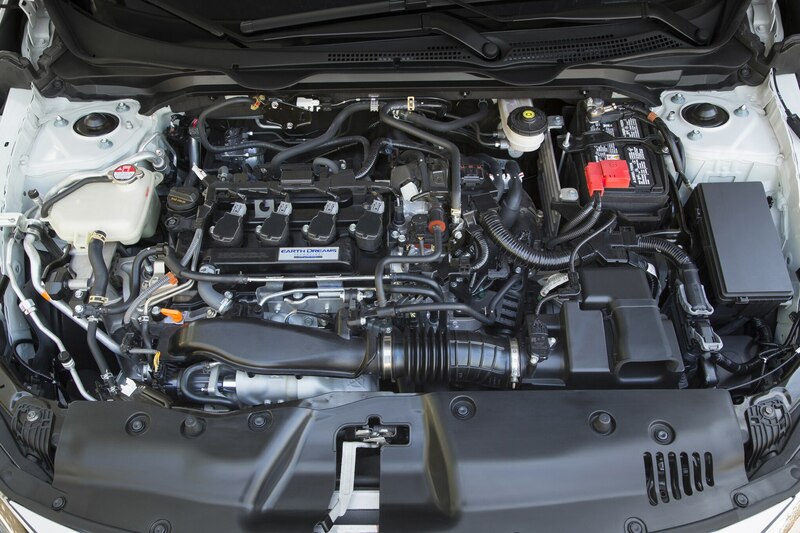 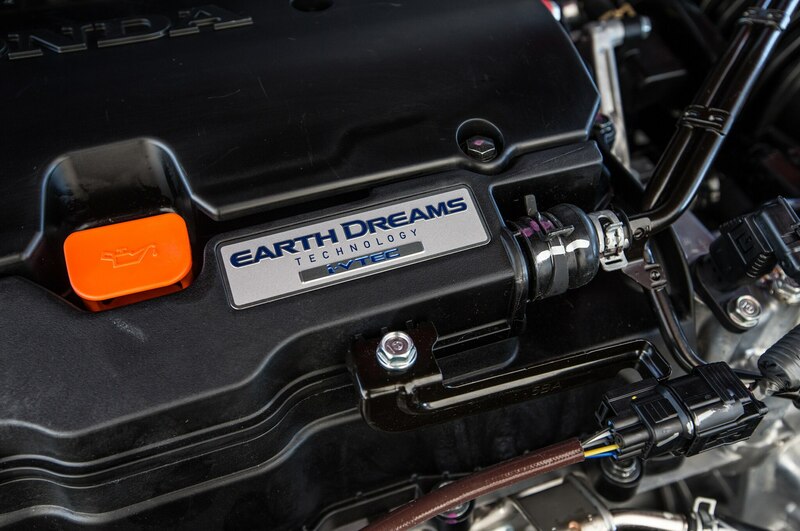 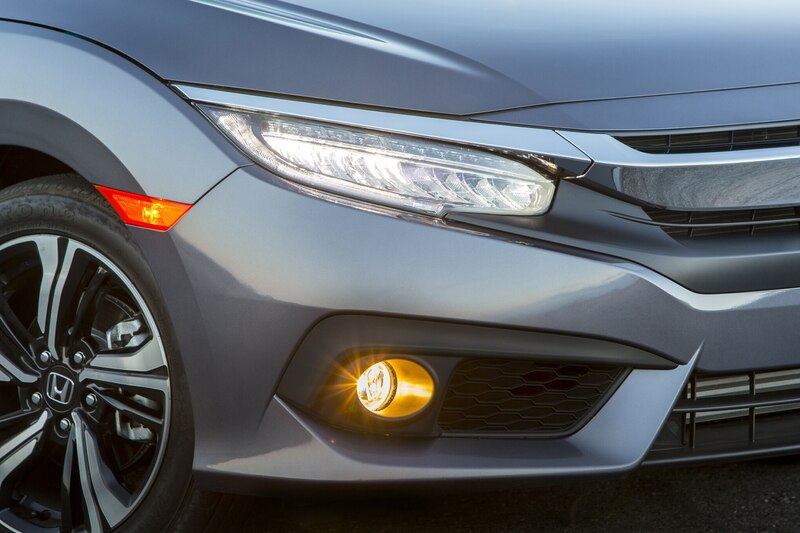 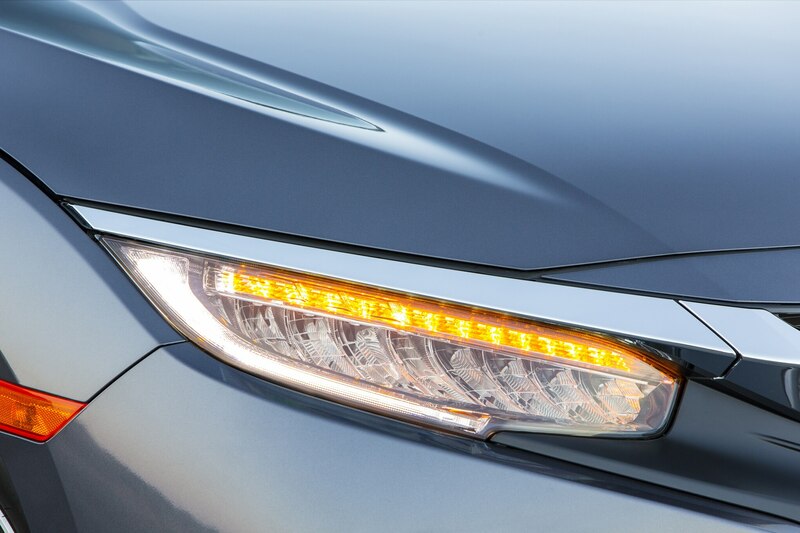 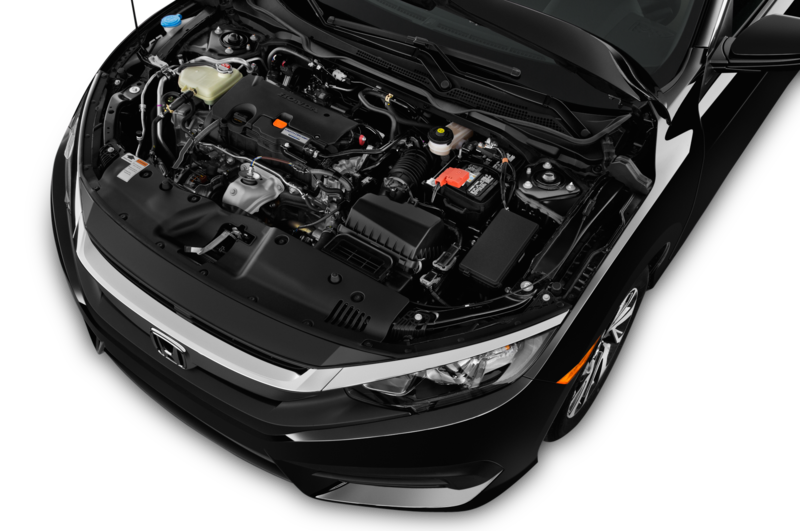 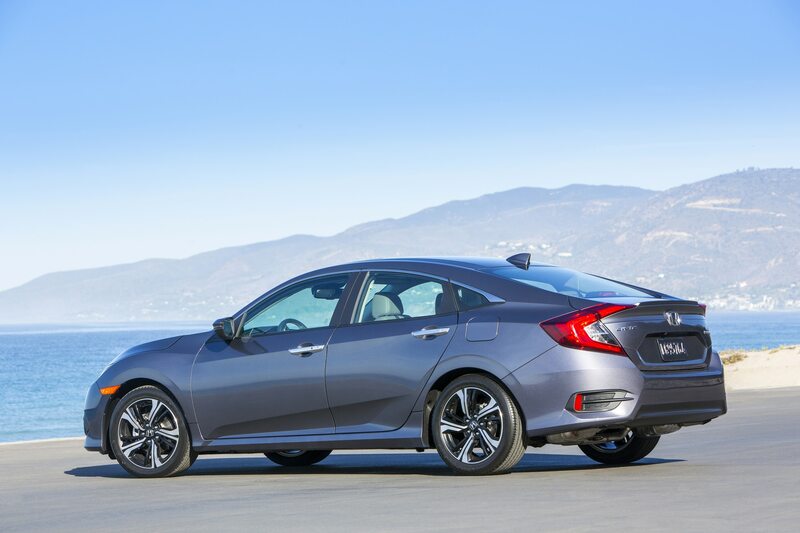 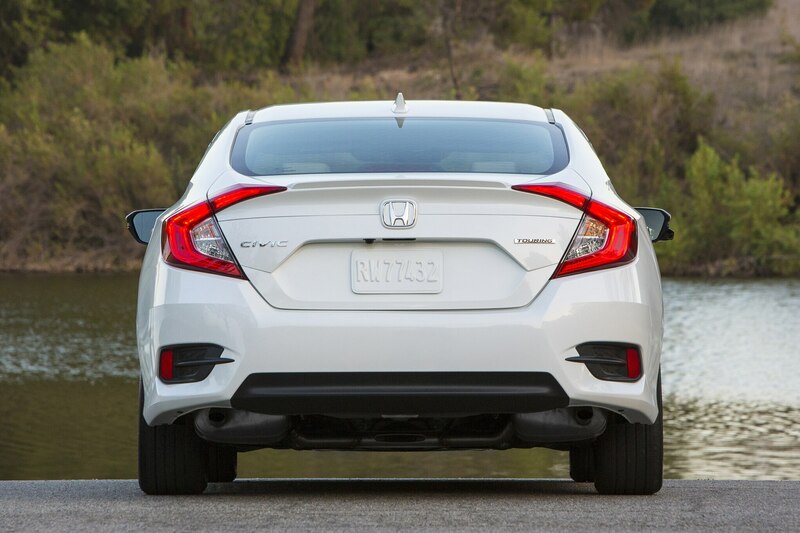 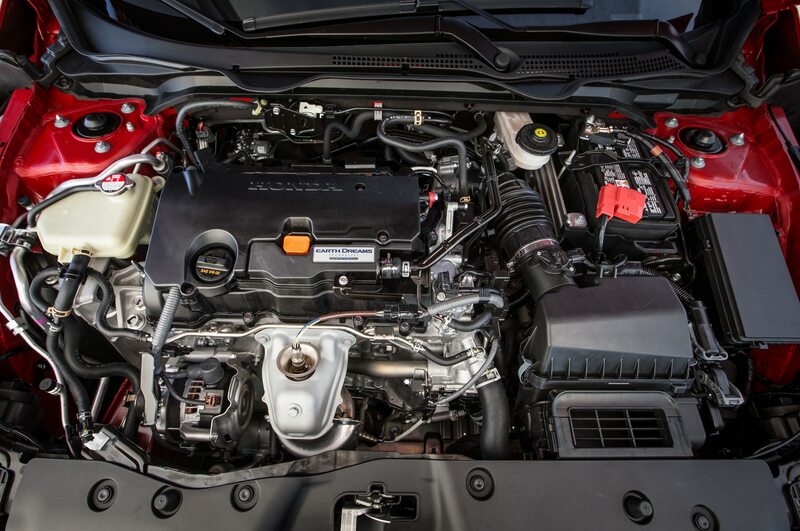 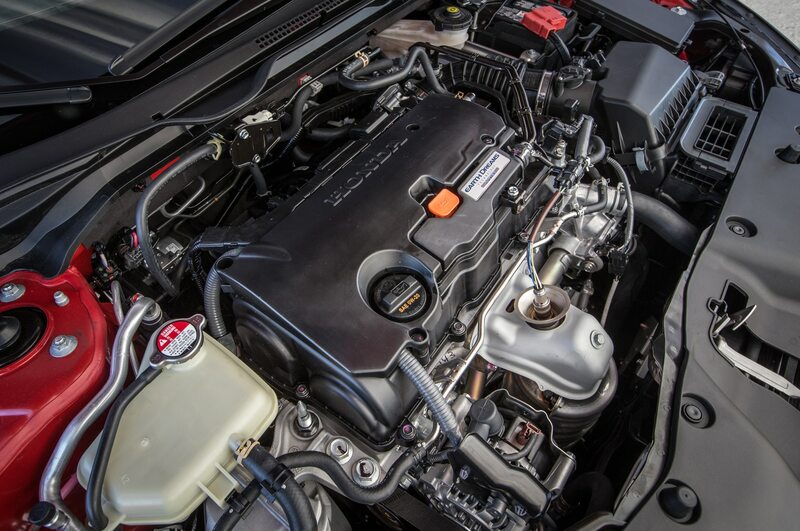 Under the hood of the 2016 Civic are two new four-cylinder engines. 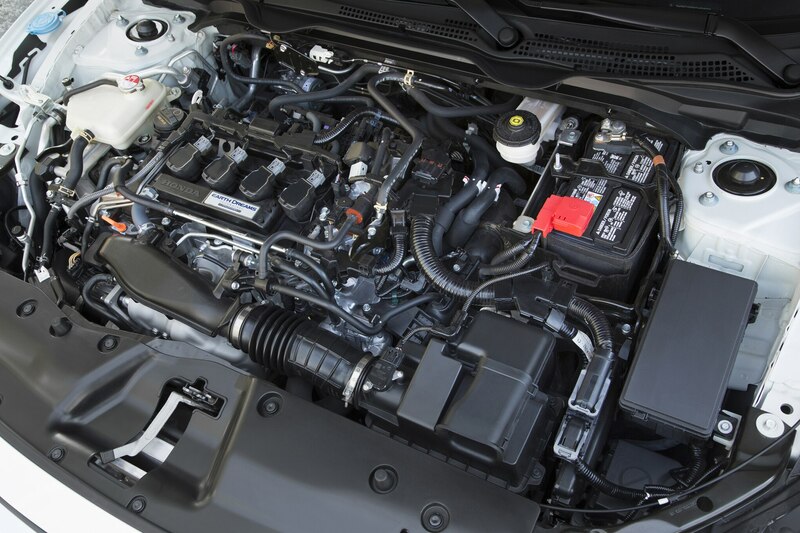 The base 2.0-liter engine, available on the lower LX and EX trim levels, has 15 more horses than the outgoing 1.8-liter I-4. 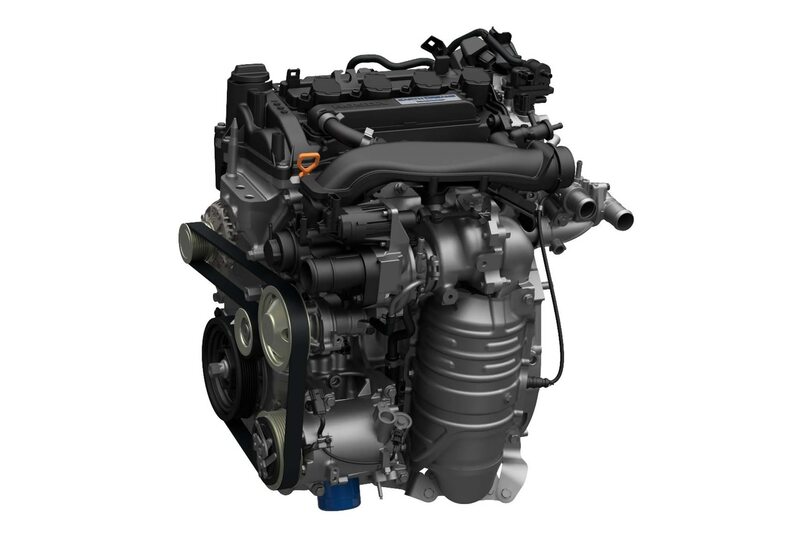 But the big news in the powertrain department is the premium engine for EX-T, EX-L, and Touring versions: a turbocharged 1.5-liter I-4 with 174 horsepower, a 31-hp increase. 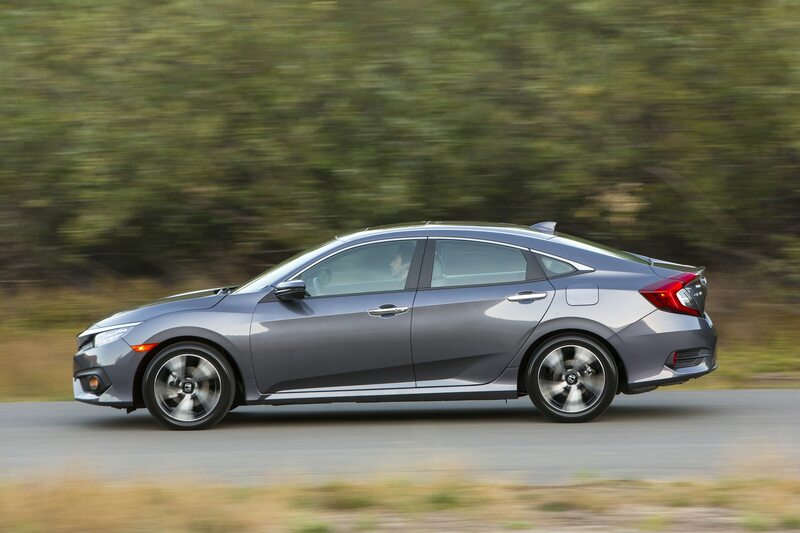 While you’ll be able to spec a six-speed manual transmission on 2.0-liter Civics, the only option available for the turbo at present is a CVT. 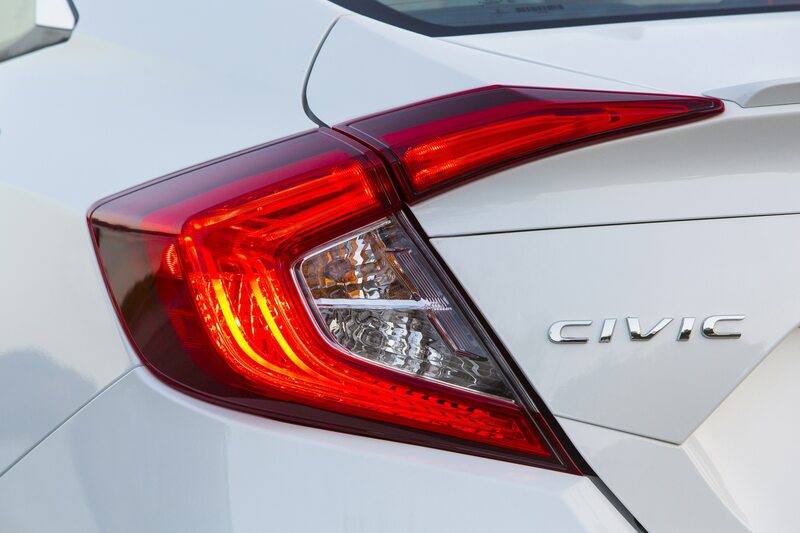 A similar, light-duty CVT option is also available with the 2.0-liter engine. 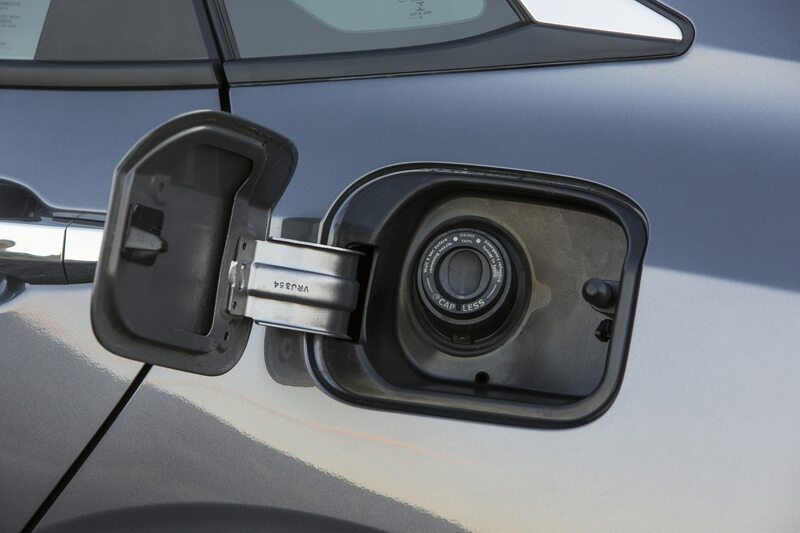 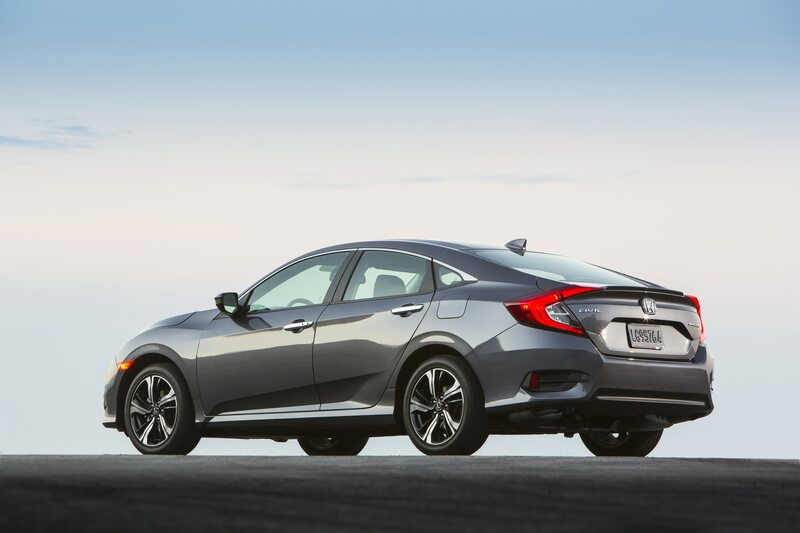 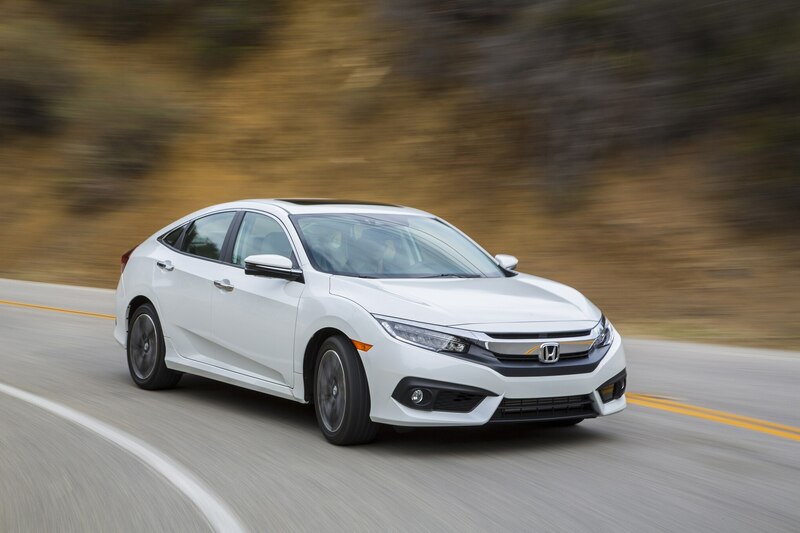 Honda says it switched to a CVT with a torque converter to allow both engines to get into the powerband quicker while simulating the feel of a conventional automatic, which is especially important with the smaller turbocharged engine. 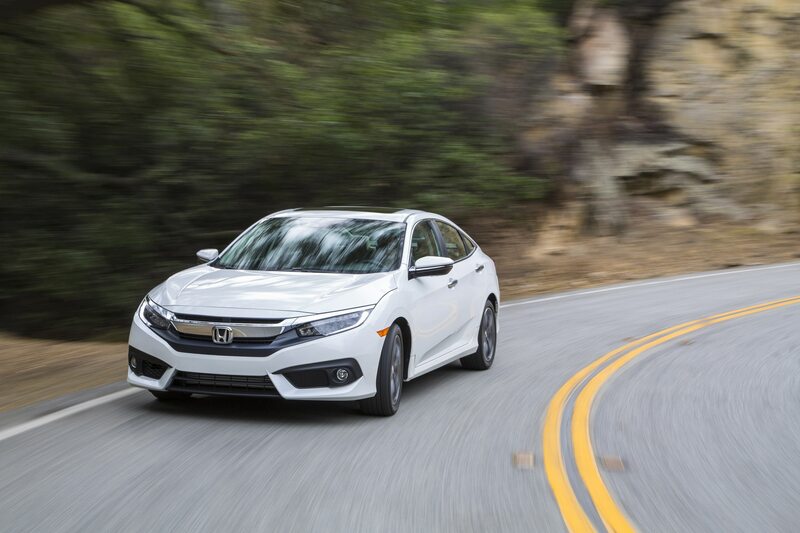 On the snaking canyon roads above Malibu, California, the new Civic shows itself to be a clear step forward over its predecessor in terms of chassis refinement. 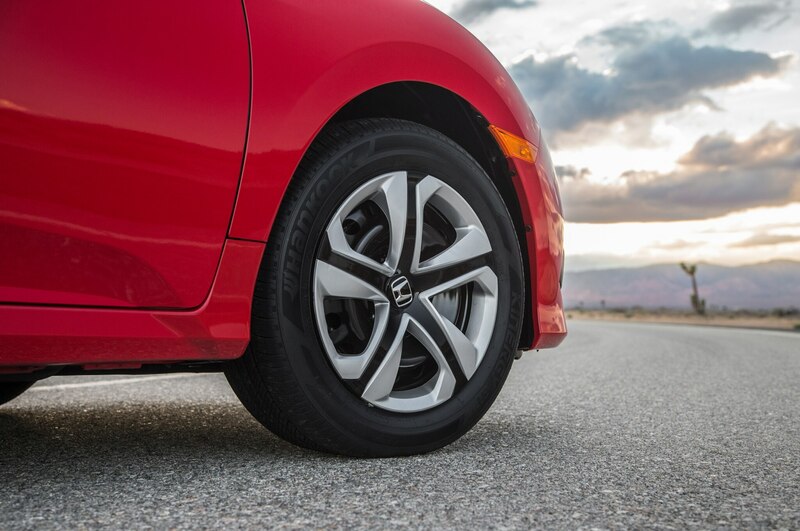 Not only is the new car more composed over uneven sections of road, but the ride is more compliant too. 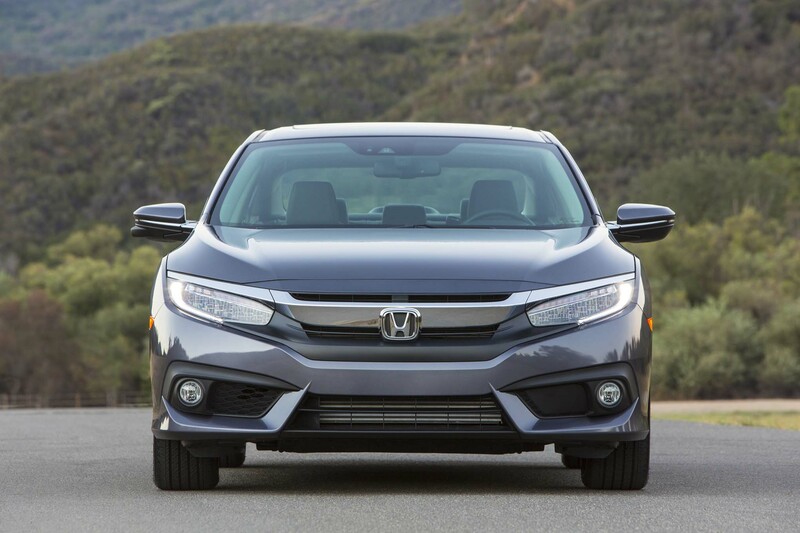 Honda claims a 25 percent gain in torsional rigidity for the unibody structure thanks in part to the increased use of high-strength steel. 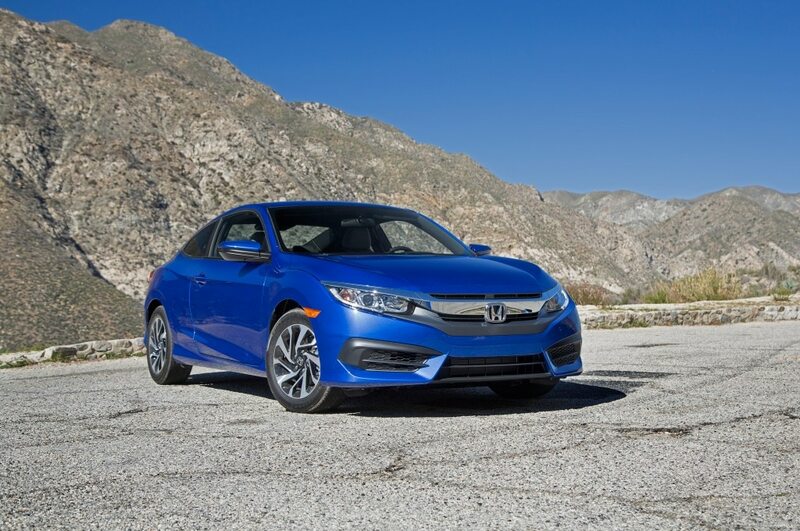 Indeed, the Civic feels taut and cohesive through the twistier sections of Mulholland Drive. 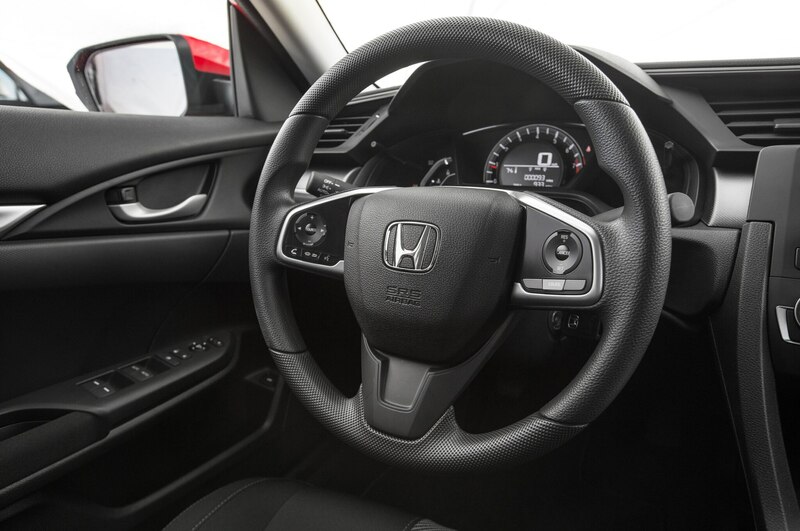 The steering is a notable improvement as well, with a new electrically assisted rack that feels more direct and responsive than did the setup for the previous Civic. 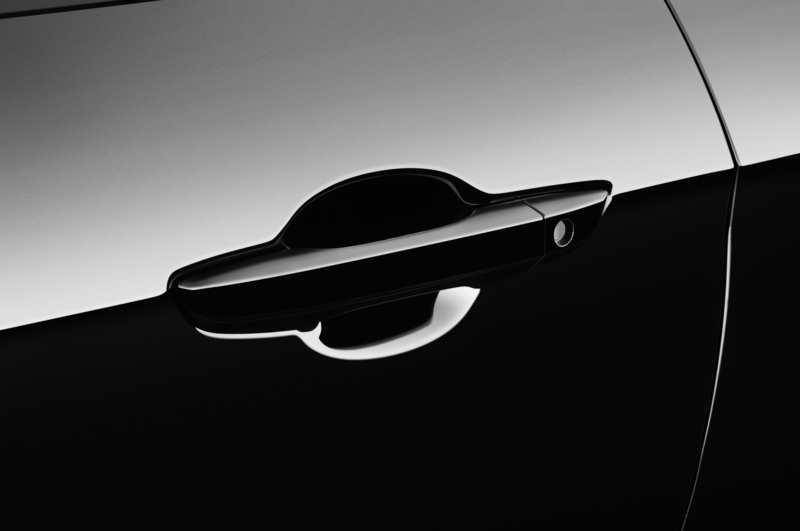 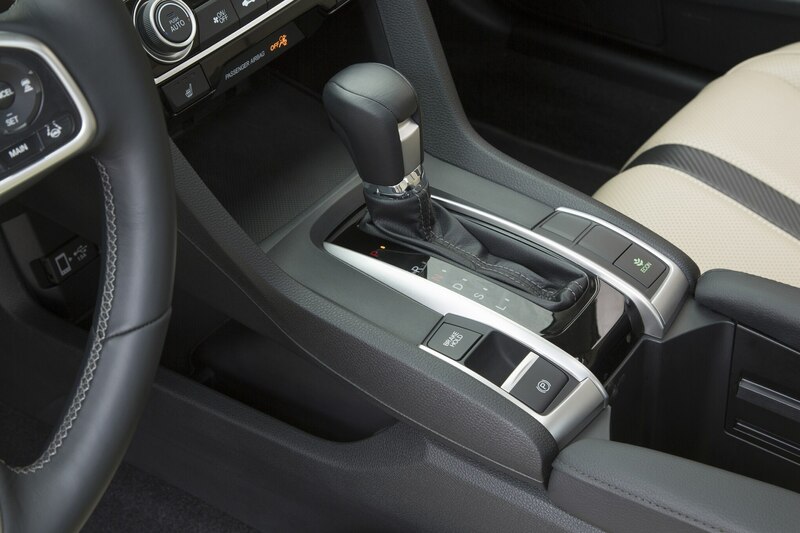 We also appreciate the firmer brake pedal with a better modulation that ultimately builds driver confidence. 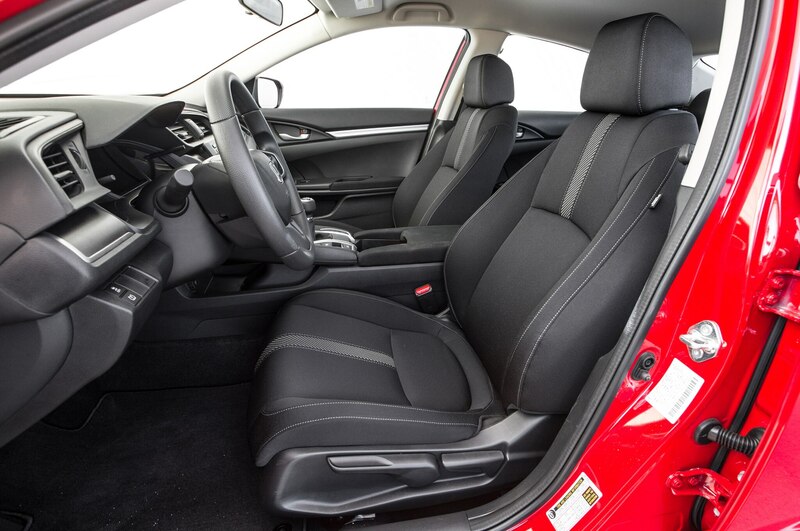 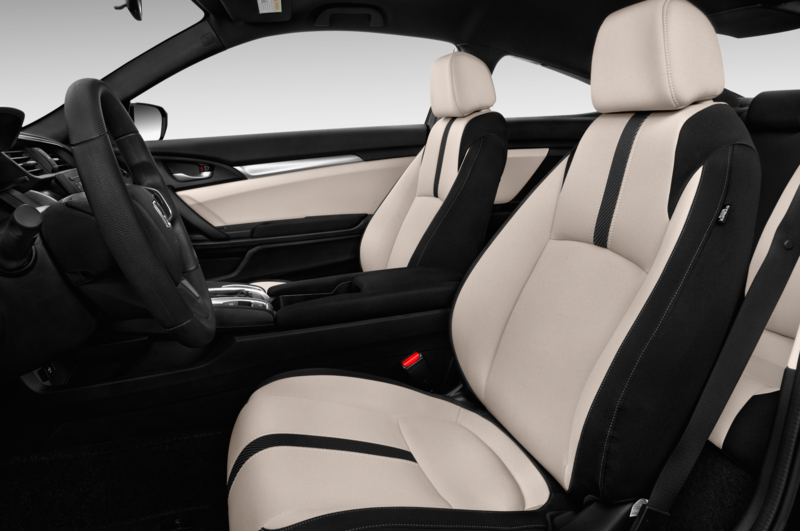 All this, combined with the lower seating position and more commanding view, lends the Civic a much sportier feel than before. 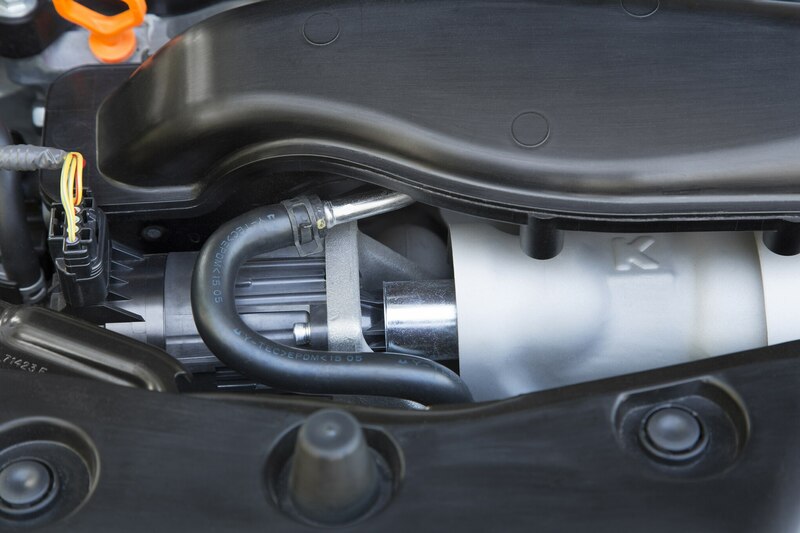 We were less impressed with the powertrain combinations. 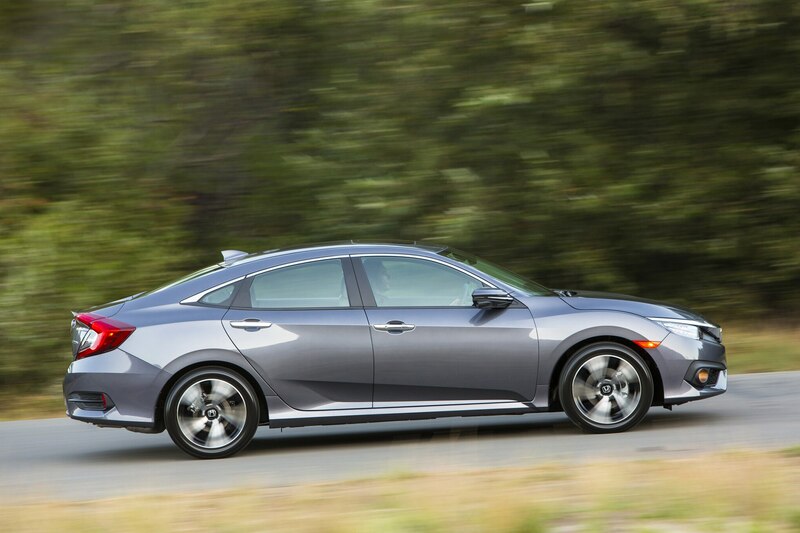 An LX model with the base 2.0-liter engine and a manual transmission proves engaging enough, although both the clutch and shift action are exceptionally light. 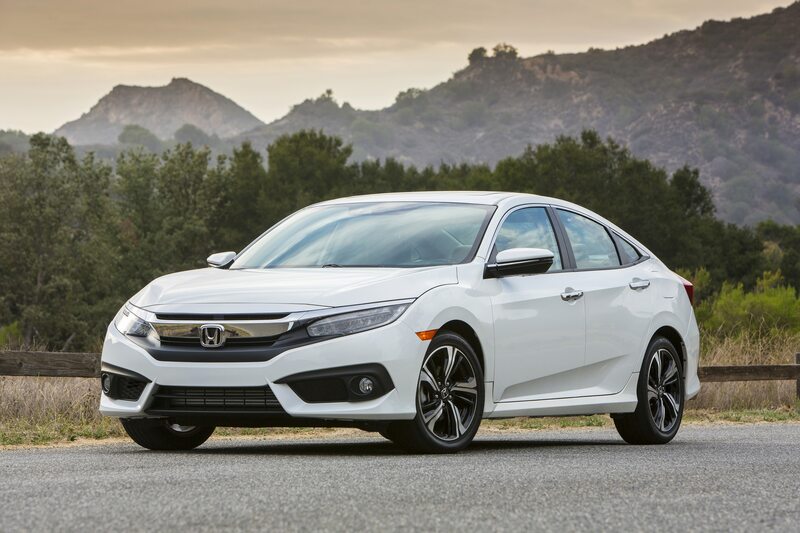 Power from the 2.0-liter is adequate for the class, but there isn’t a tremendous difference in grunt from the previous 1.8-liter. 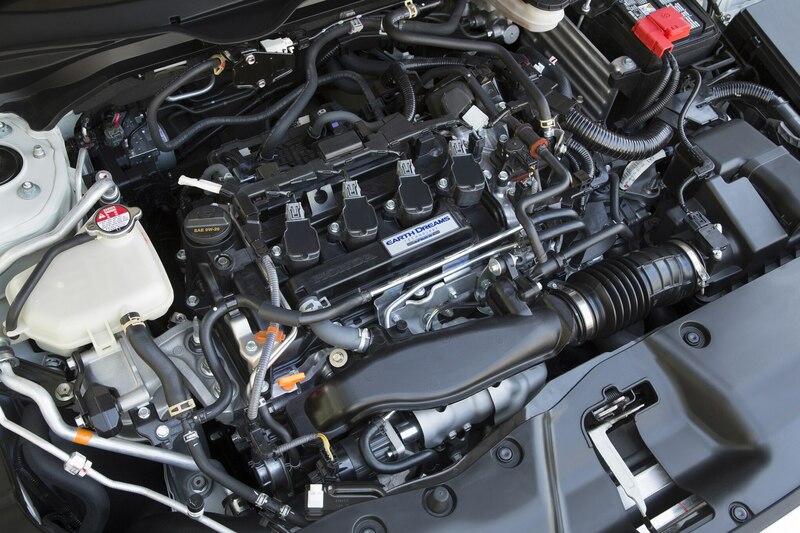 As for the CVT attached to the 1.5-liter turbo, we didn’t notice a major improvement in refinement. 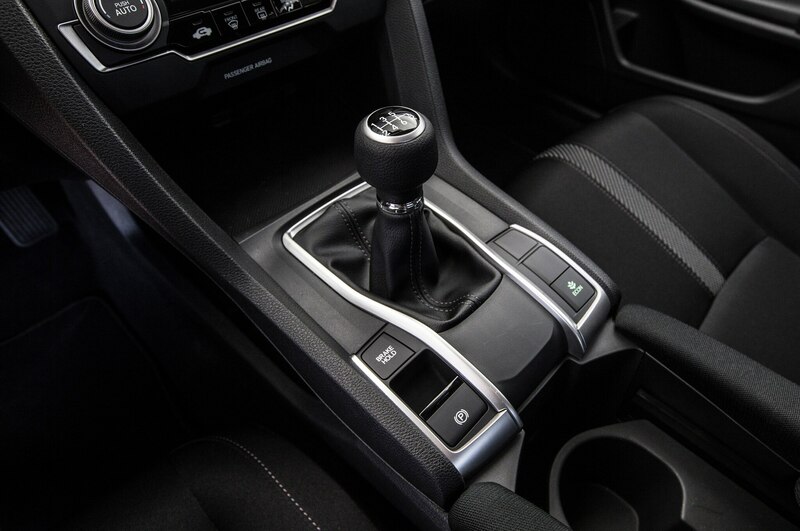 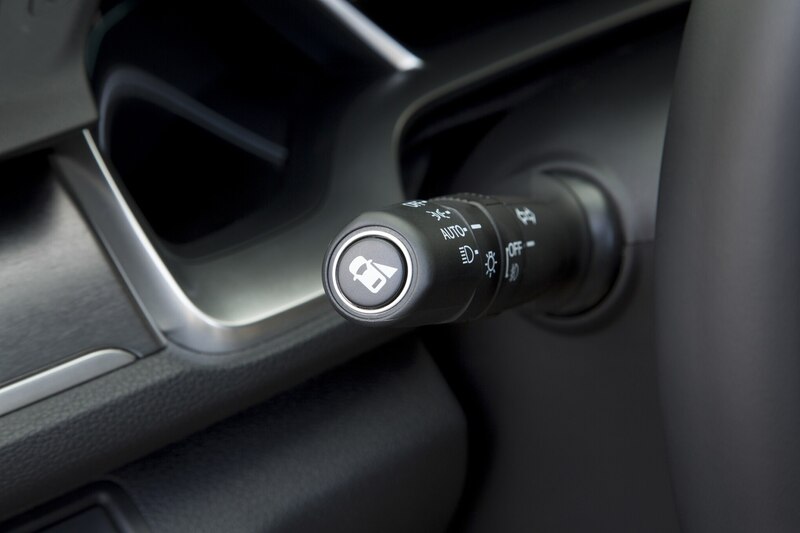 By and large, the transmission behaves as we’ve come to expect from a traditional CVT. 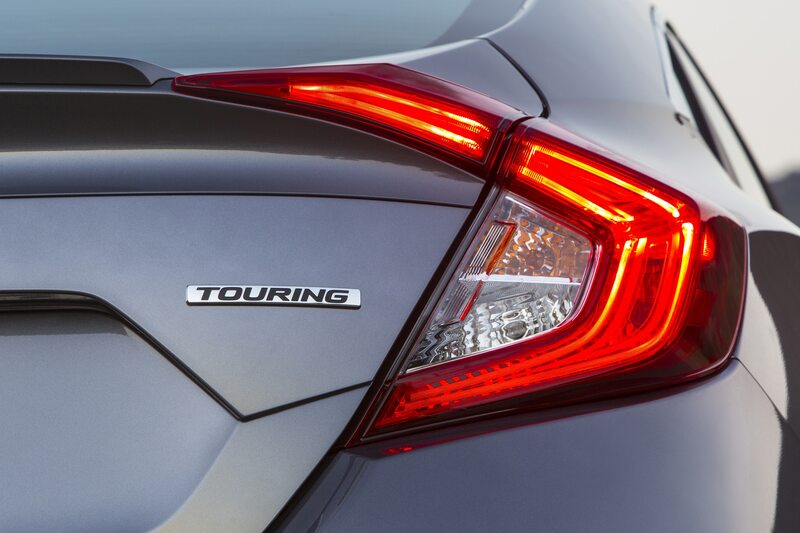 Go hard on the gas, and the revs zing into the meat of the engine’s torque curve, plateauing into a stagnant drone. 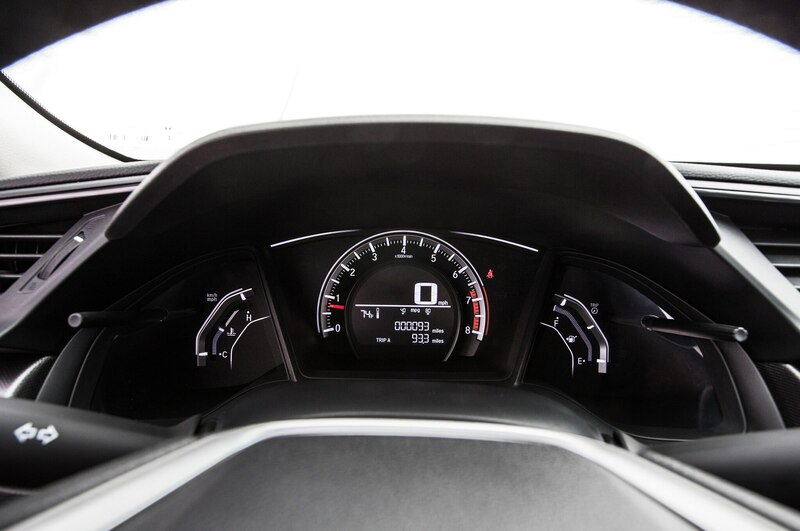 Lift off the throttle for just a second, and the revs drop back to near idle speed until you get on it again, and the process repeats itself. 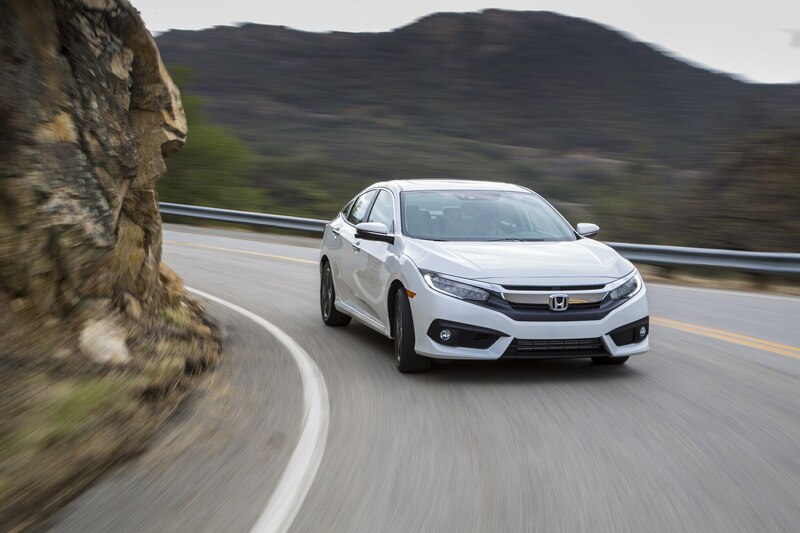 While this might be more than fine for an economy car (which is this 2016 Civic’s primary role after all), it wasn’t exactly well suited for hustling along the fantastic roads of our drive route. 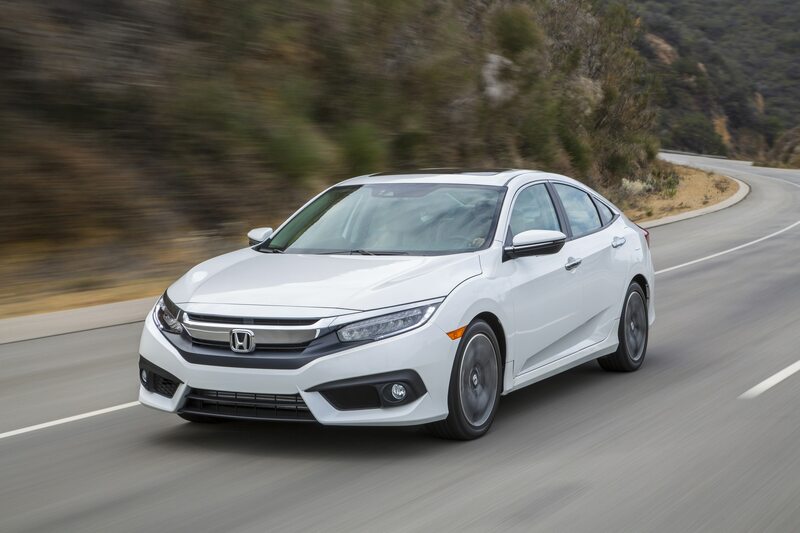 And given its power advantage, we expected the turbo to feel faster from the driver’s seat. 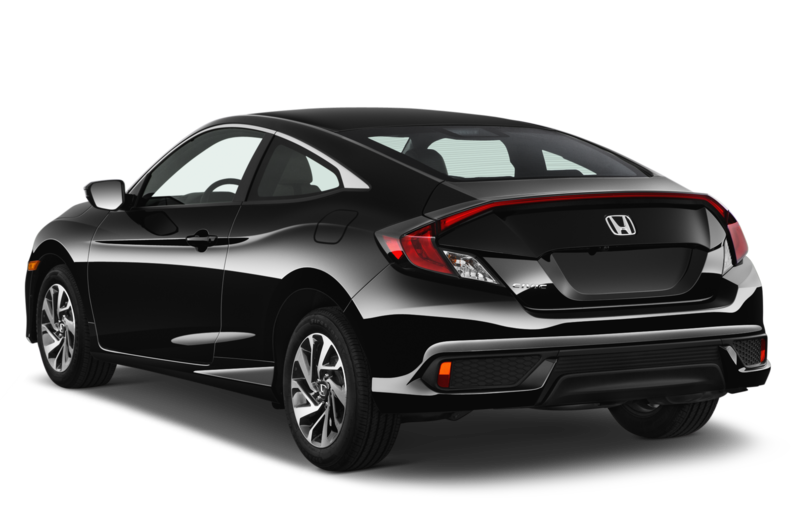 Being lovers of driving fun that we are, we’ll be waiting patiently for the inevitable sportier versions of the 2016 Honda Civic. 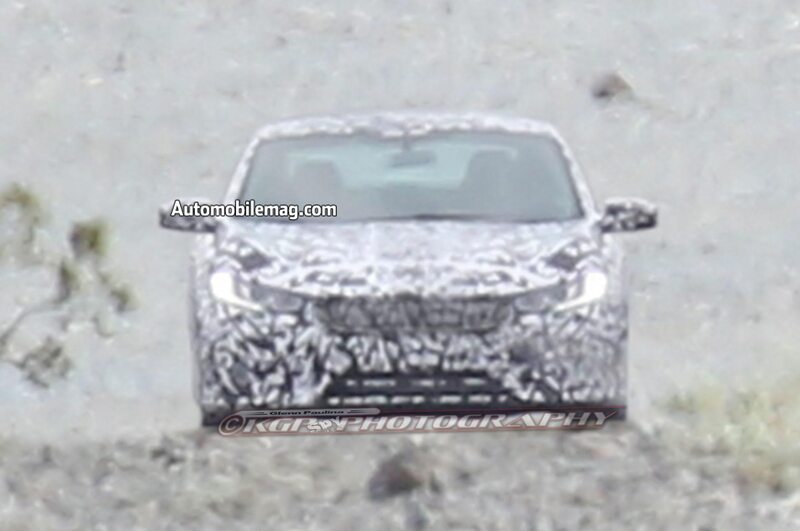 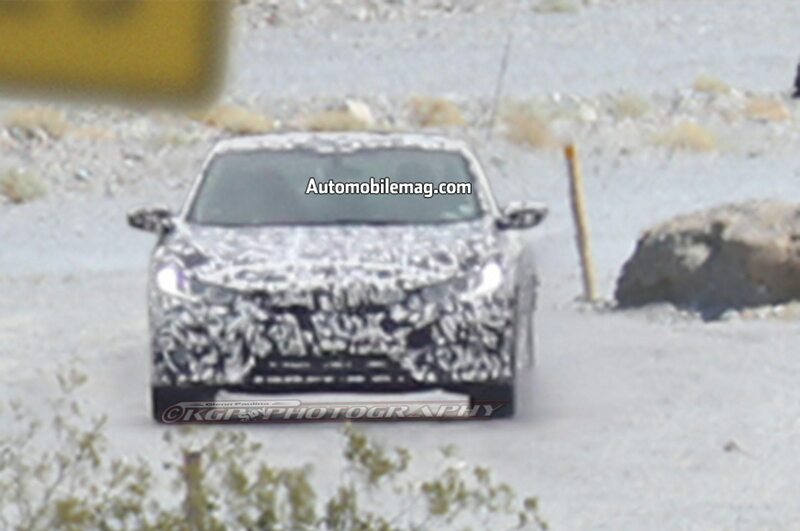 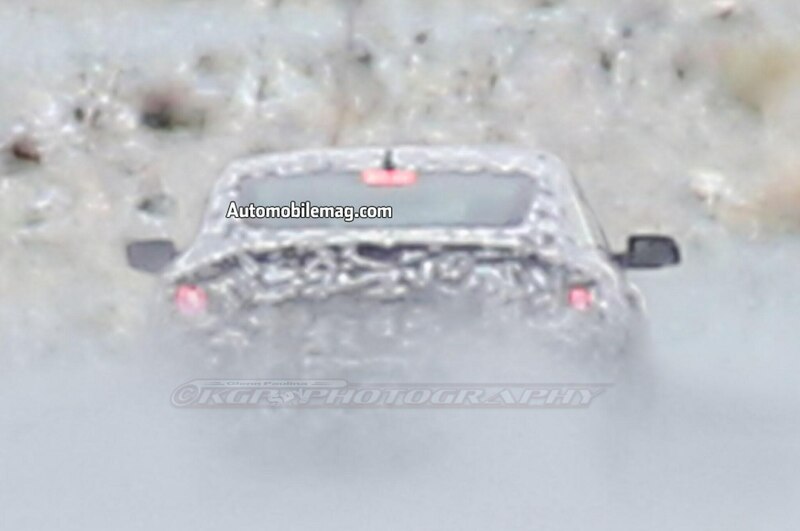 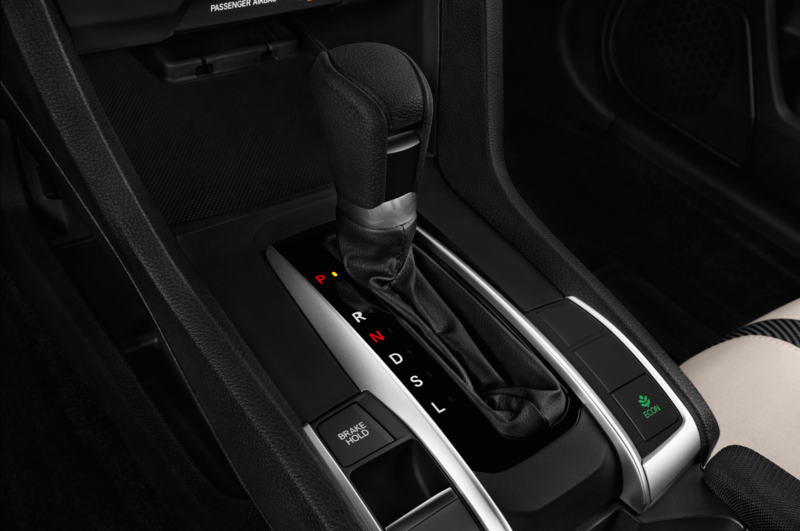 The forthcoming Civic Si will likely pair even crisper handling with an uprated version of the turbo engine, and the manual gearbox will be complemented by a CVT/torque converter setup with shift paddles. 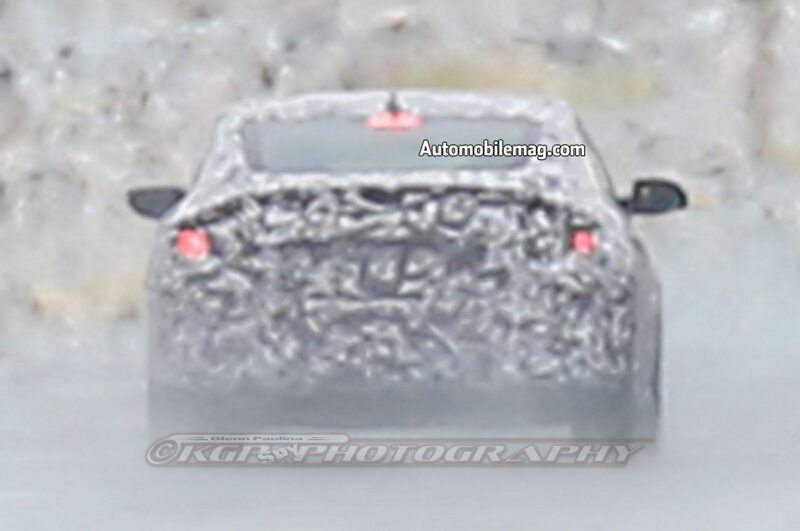 Then there’s the coming Honda Civic Type R, which is the one we’re really waiting for, since it promises way more power and razor-sharp dynamics. 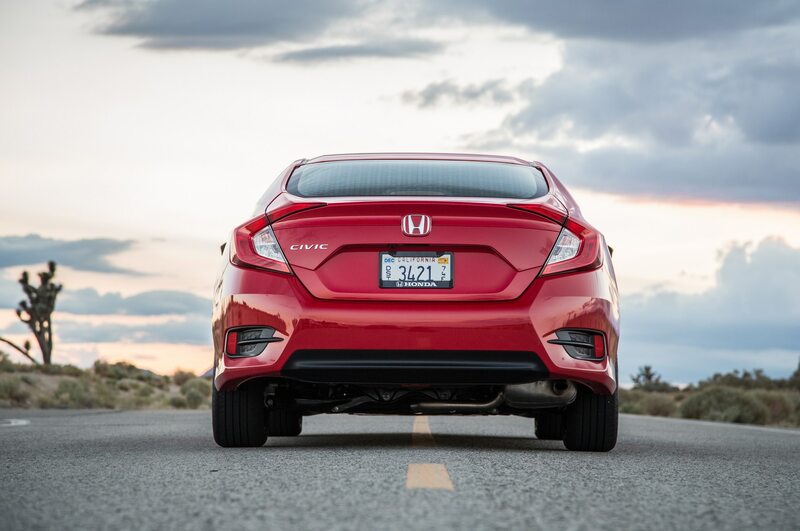 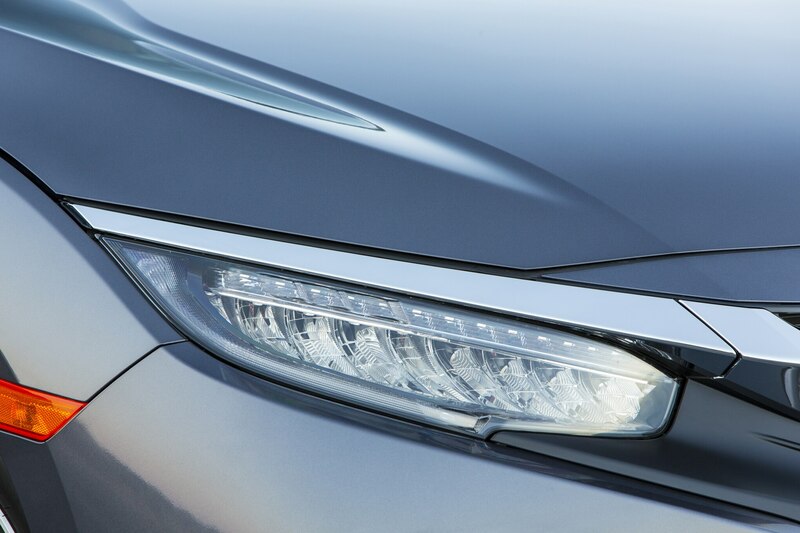 But until then, we’ll content ourselves with what looks to be the start of something great for Honda.